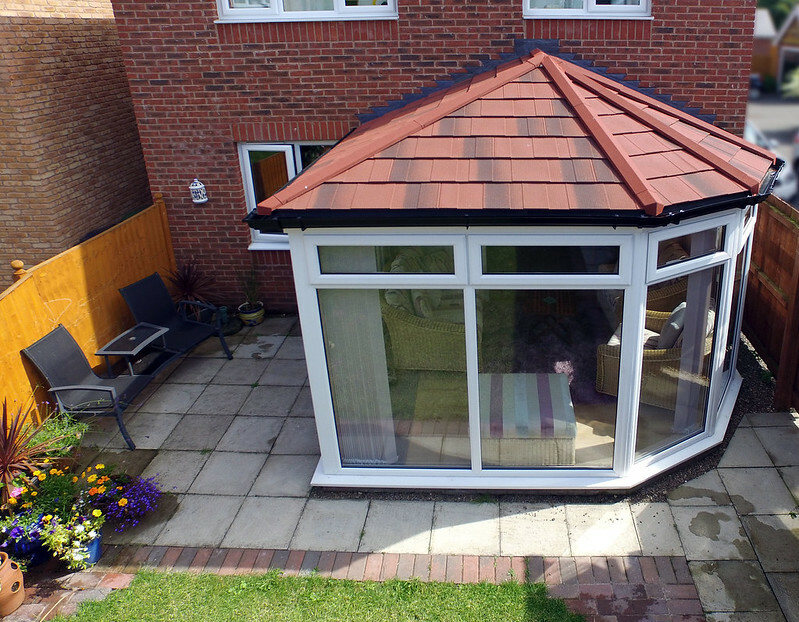 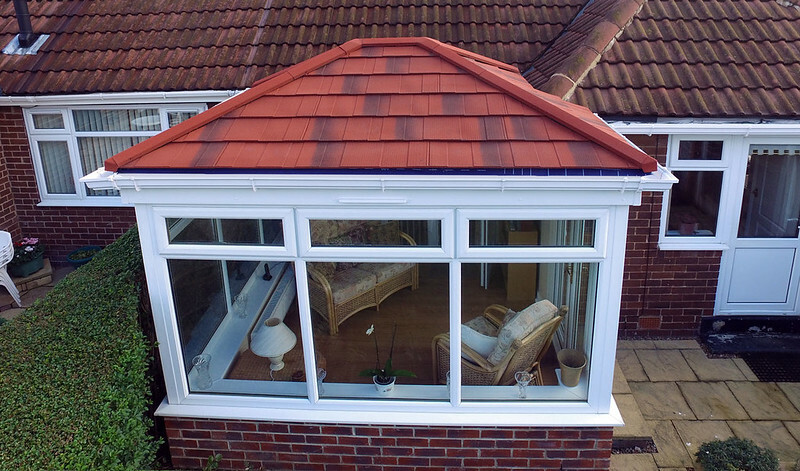 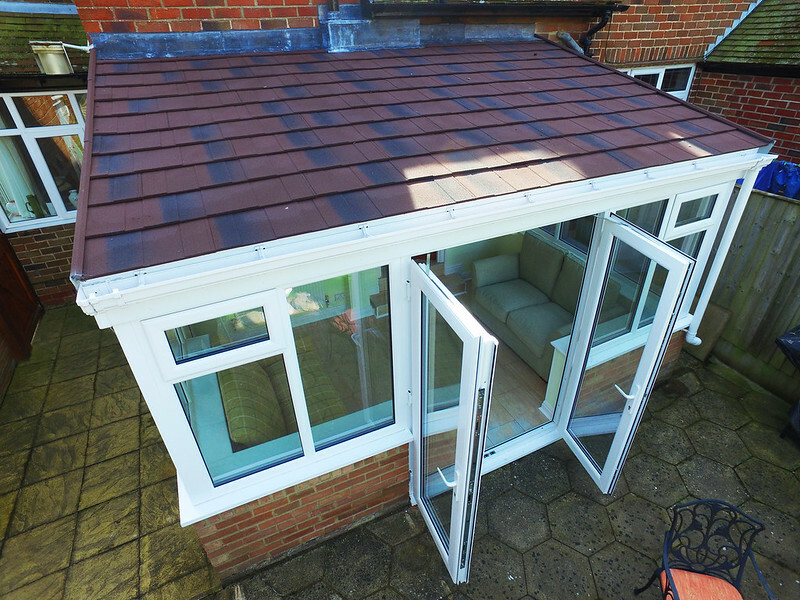 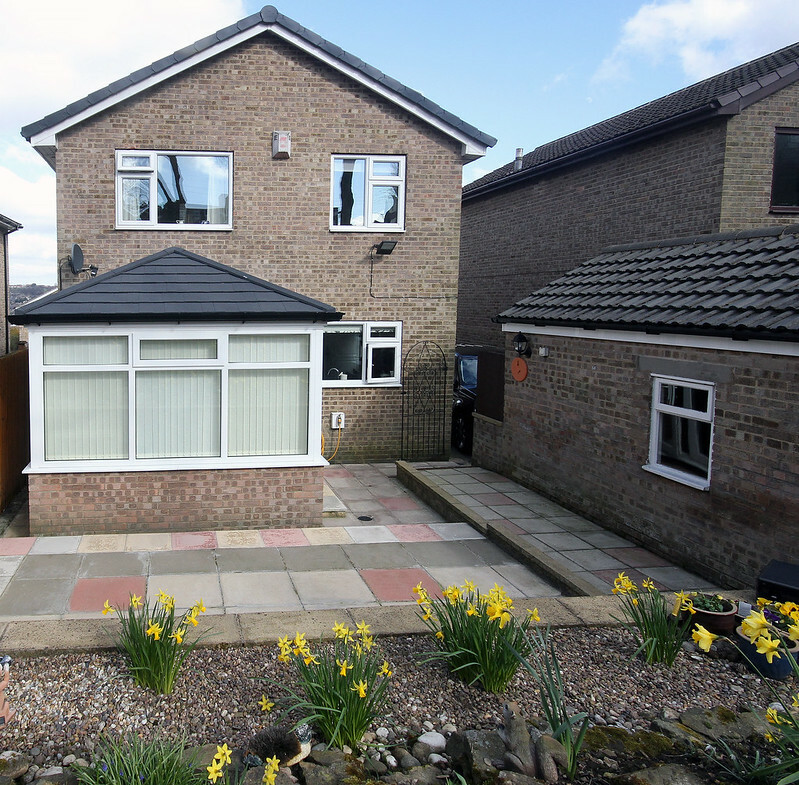 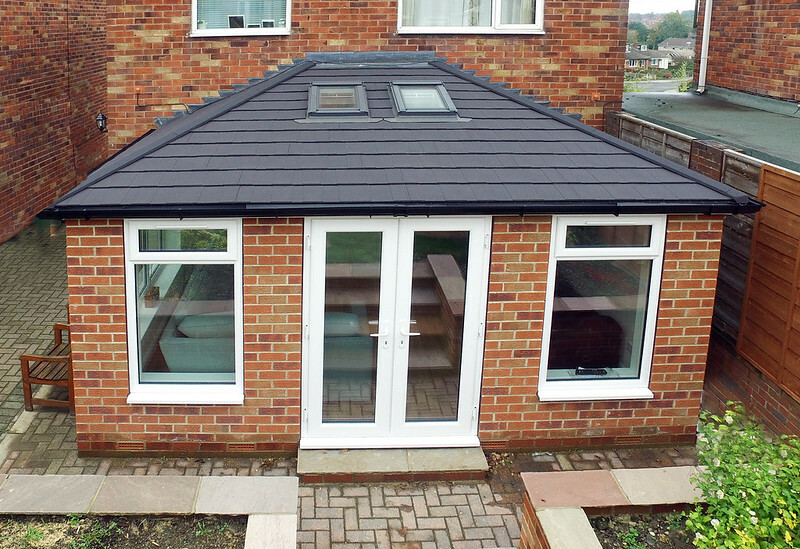 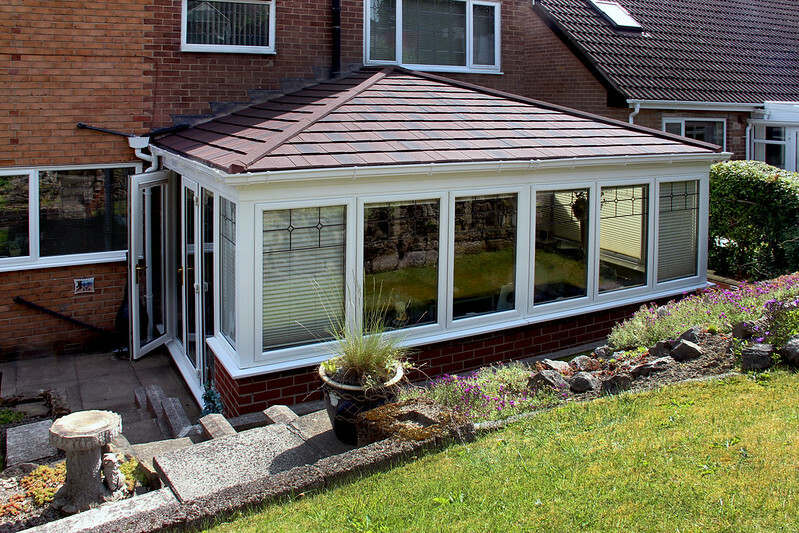 Available exclusively from TWS, a NuRoom Tiled Conservatory Roofs allows you to have an extension to your living space that you can use comfortably all year round. 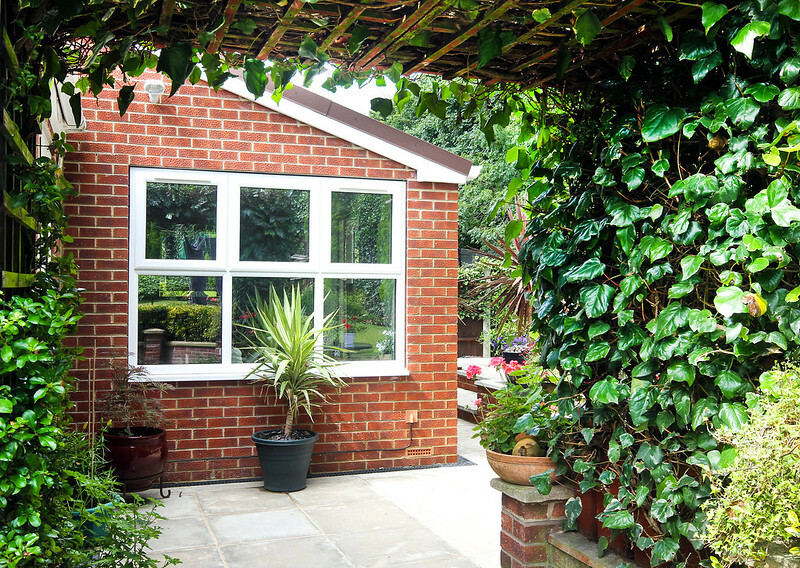 Not only adding valuable usable space your home, they can also add value to it. 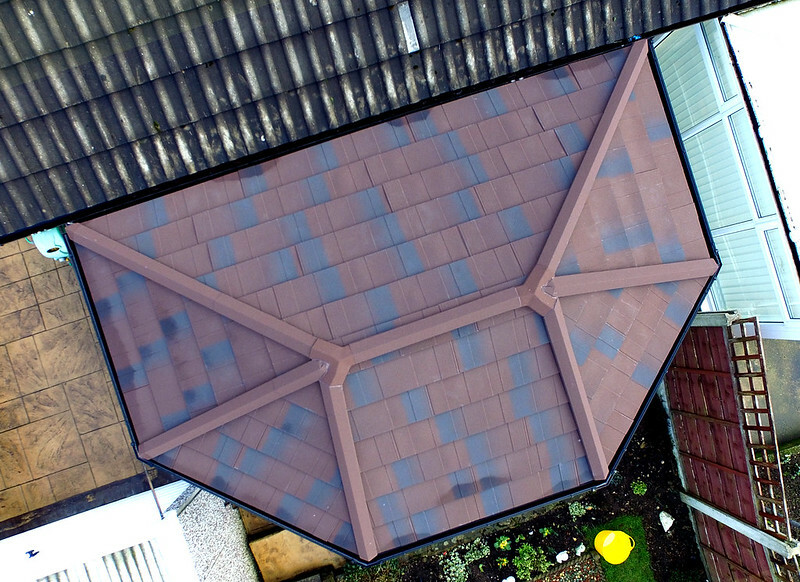 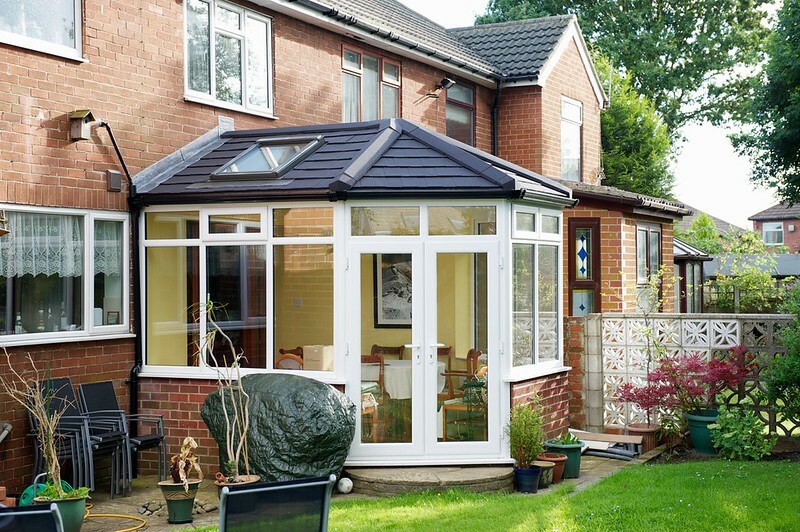 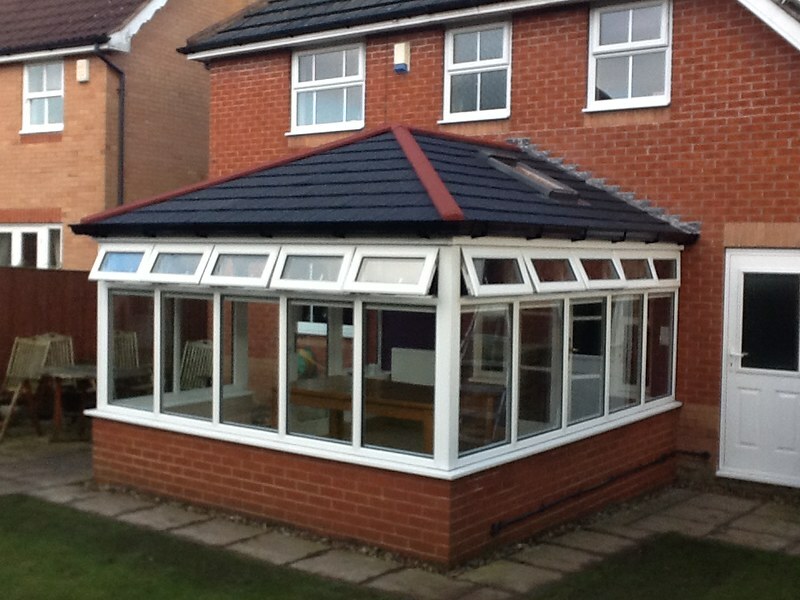 NuRoom roofs are different to other conservatory roofs. 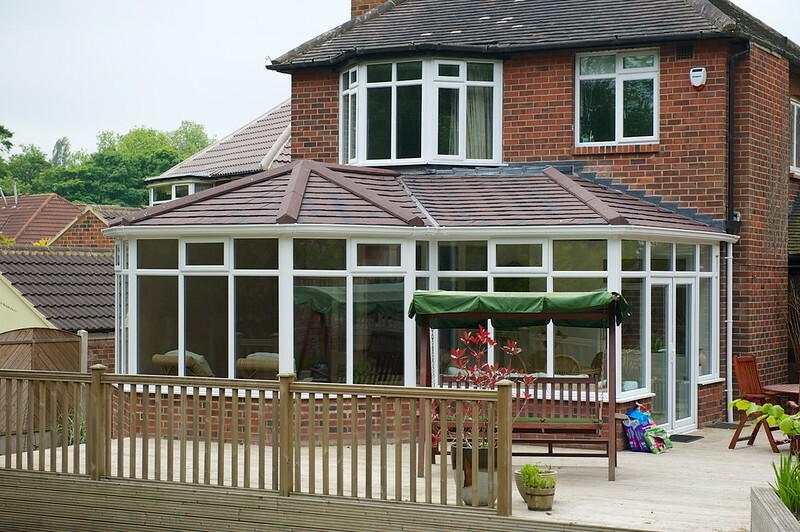 Their unique patented high-tensile galvanised steel design means that there are no condensation problems that you might expect from aluminium offerings. 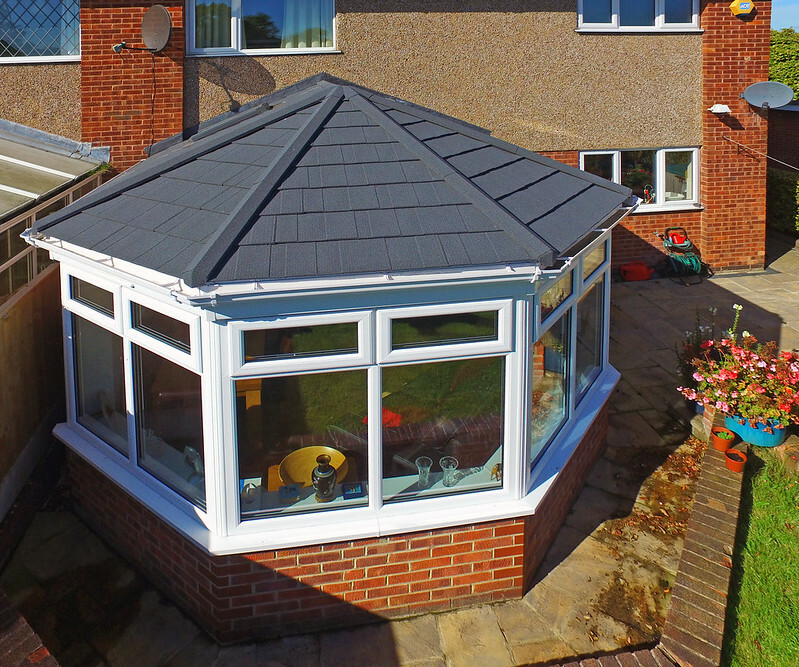 It combines strength, safety, insulation and design to deliver the most advanced roof system available today. 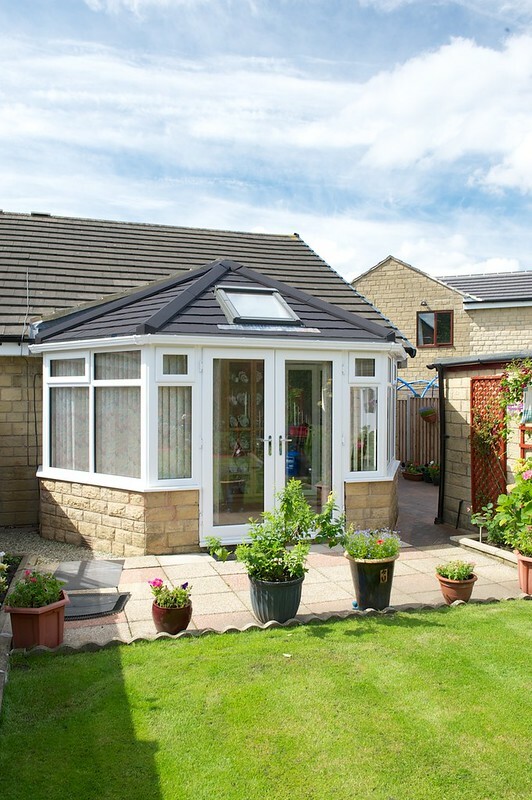 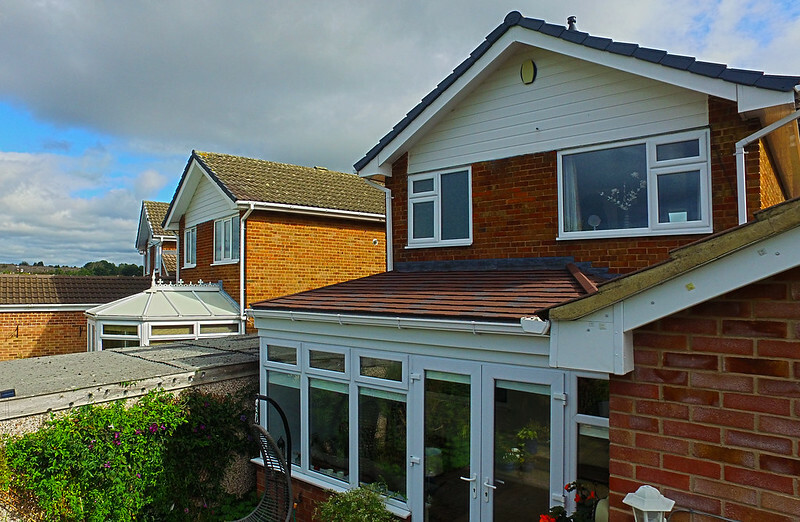 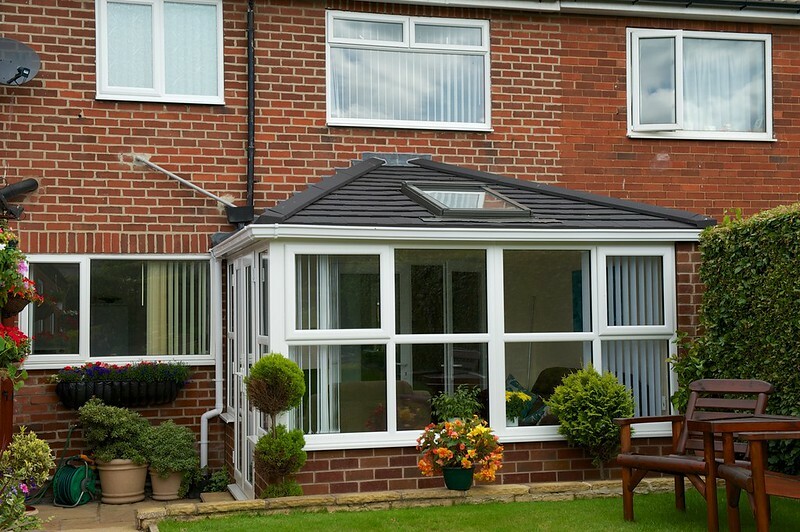 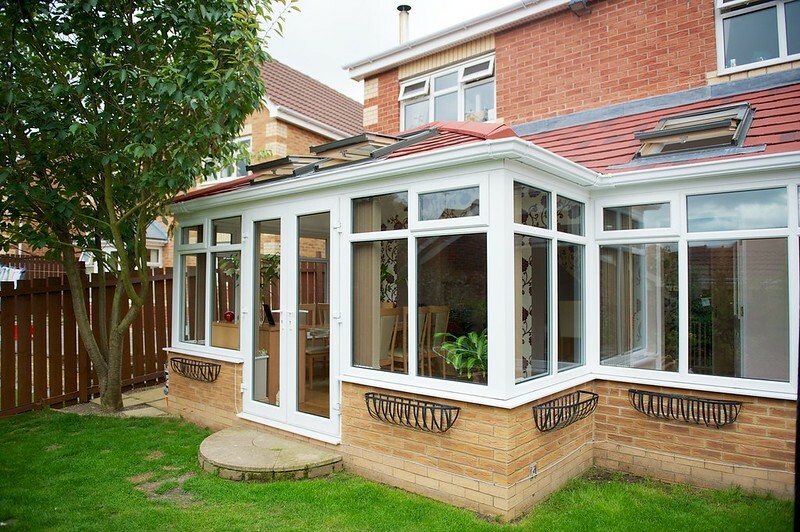 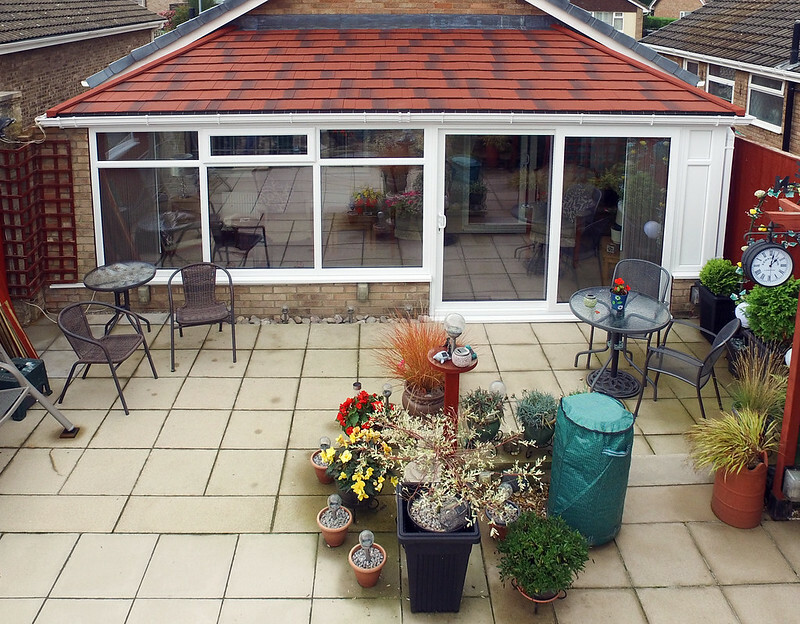 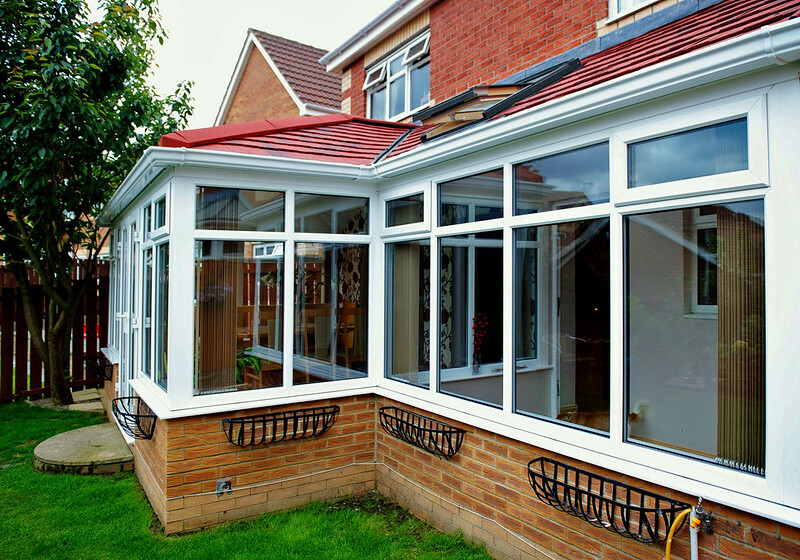 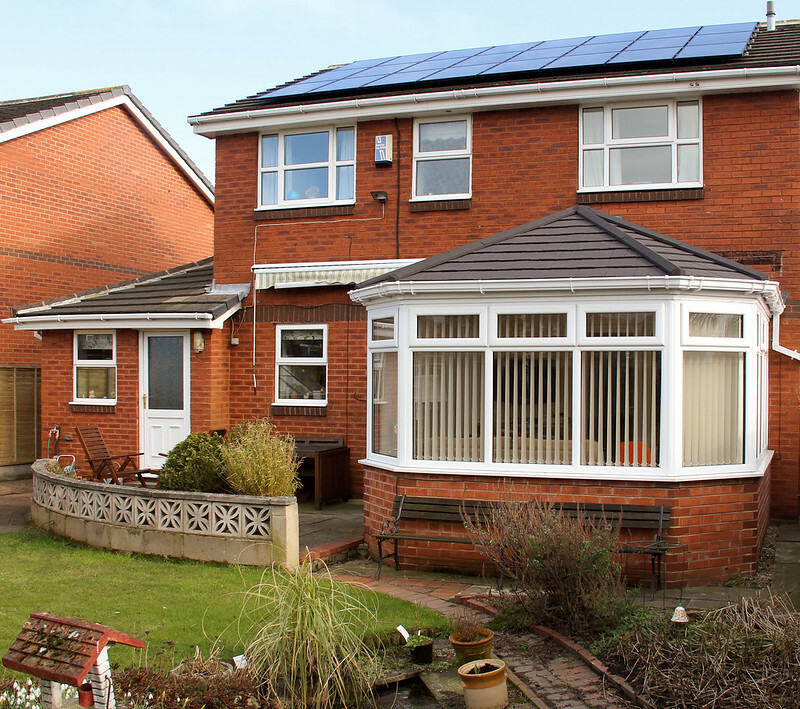 Our conservatory roofs are highly energy-efficient. 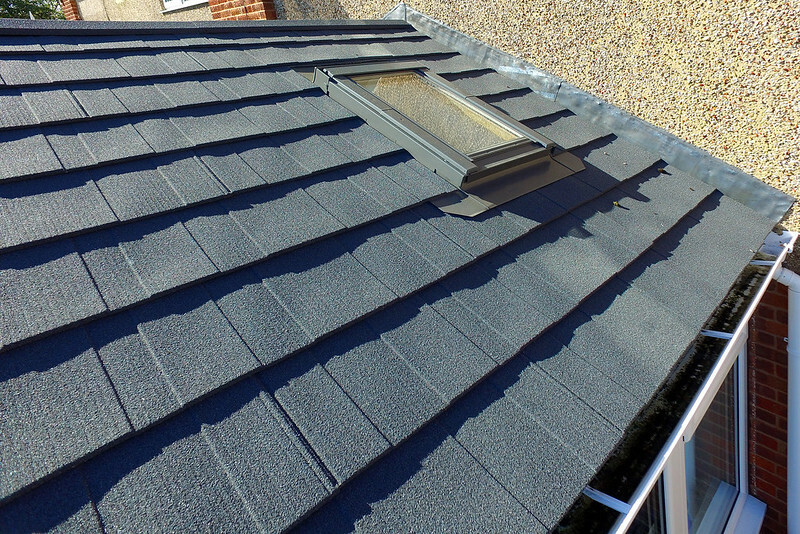 They combine efficient designs with materials that offer the best levels of insulation and ventilation. 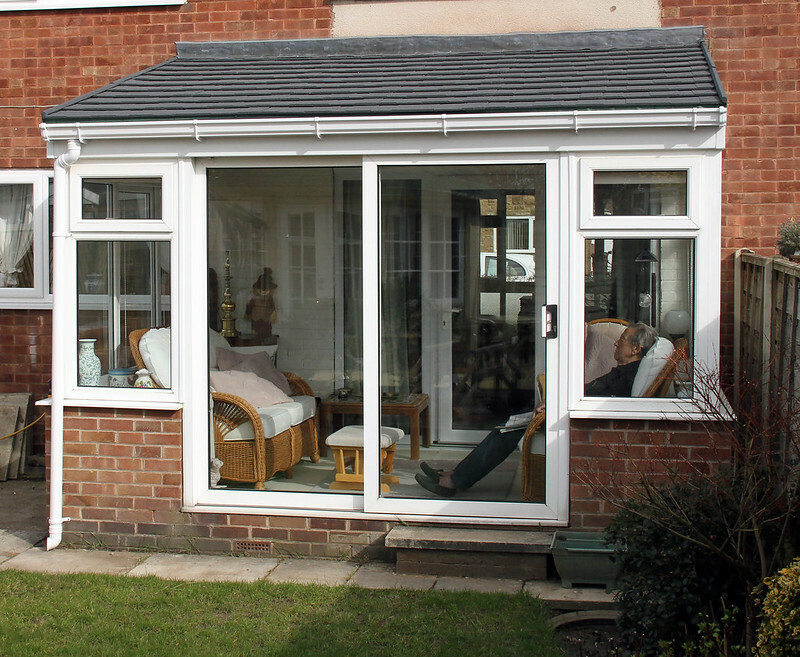 This allows the room to stay cool in summer and warm in winter and it keeps your heating bills to a minimum too. 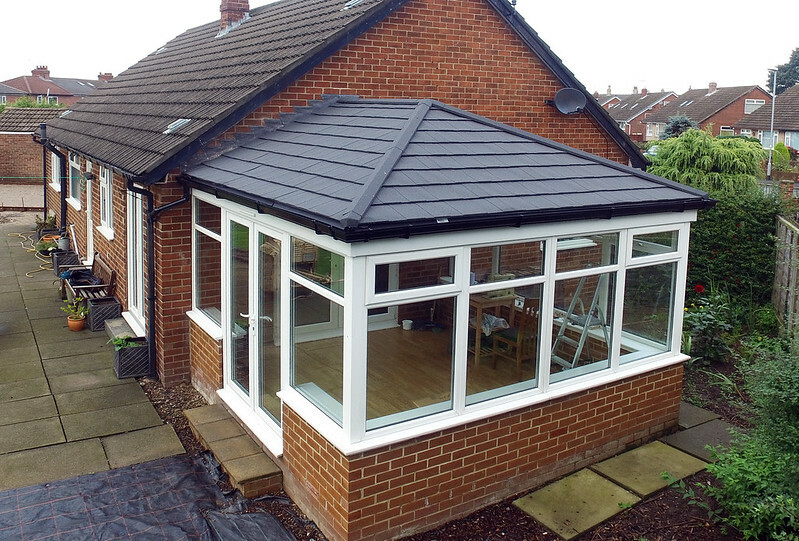 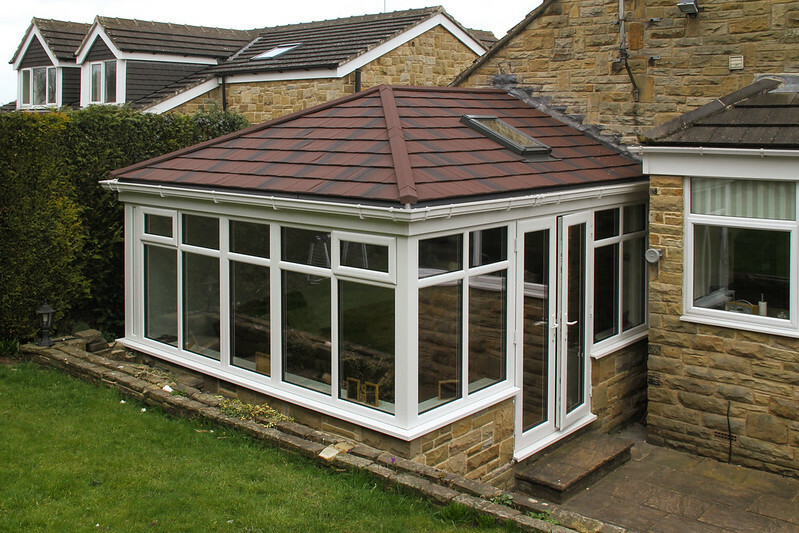 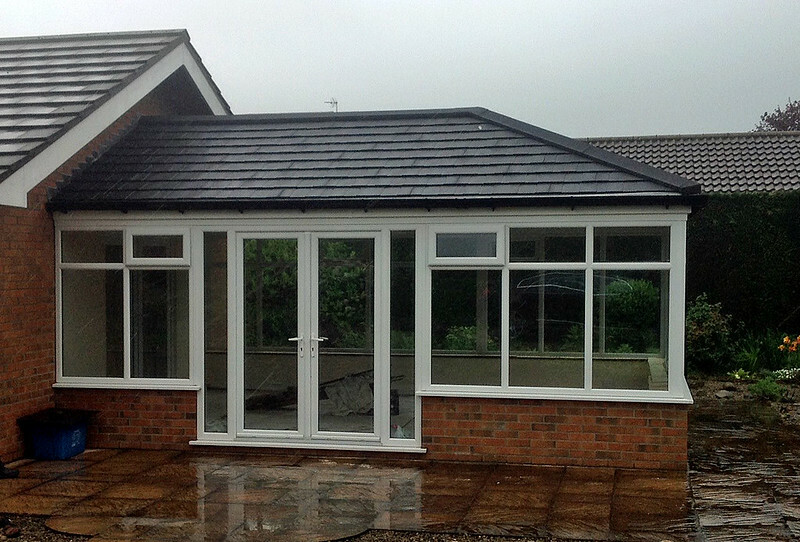 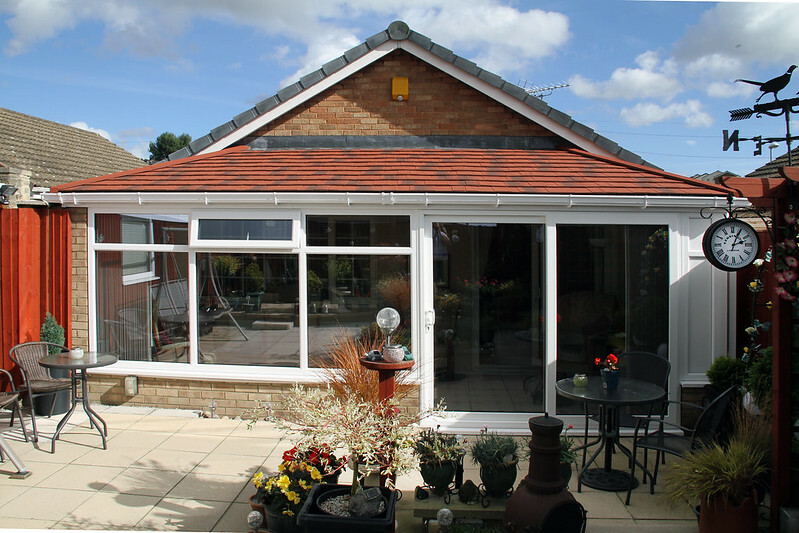 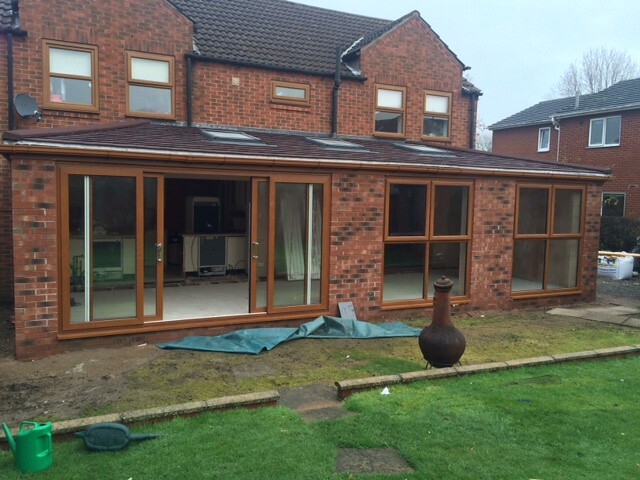 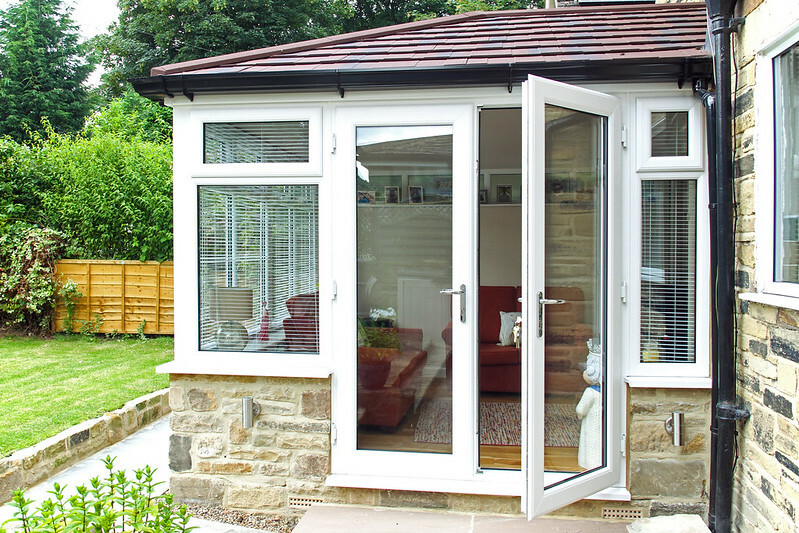 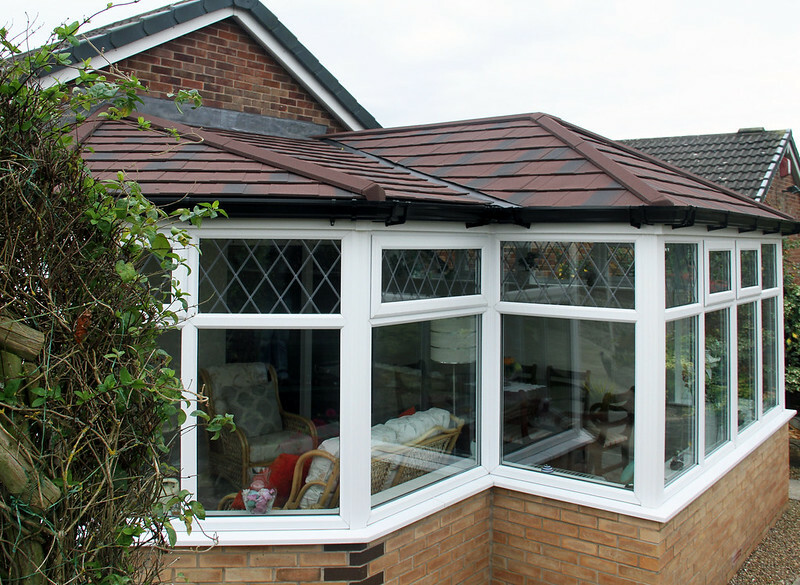 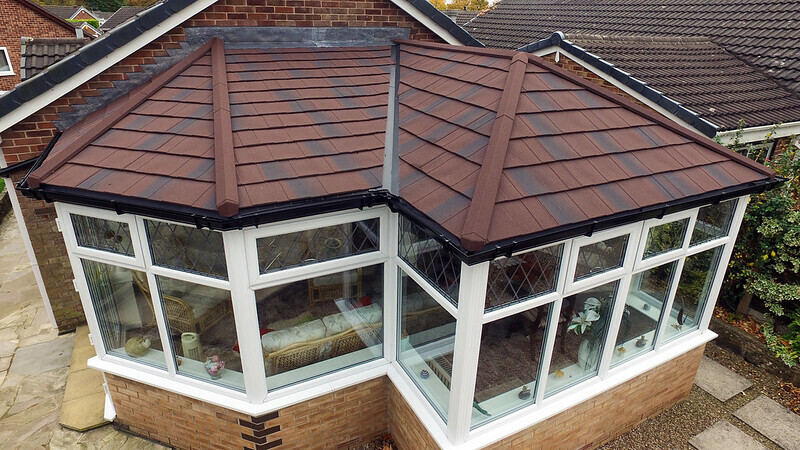 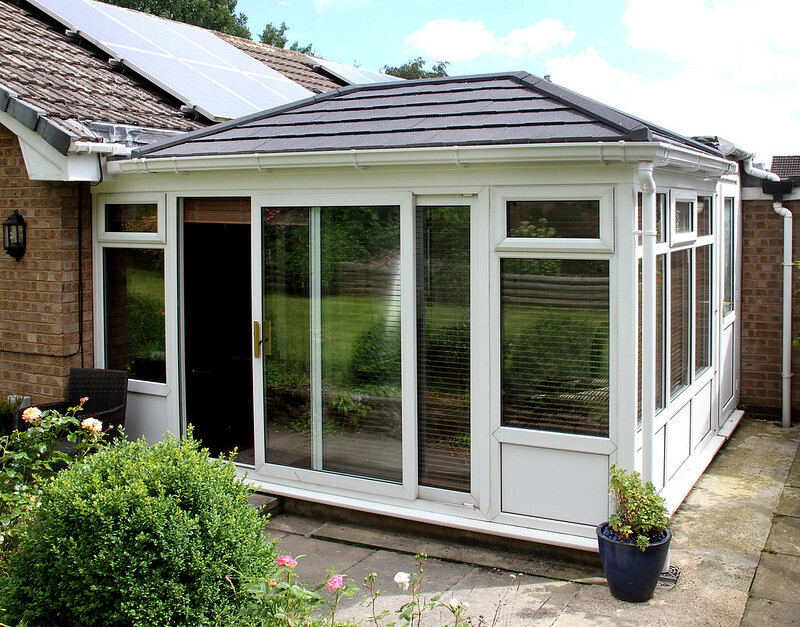 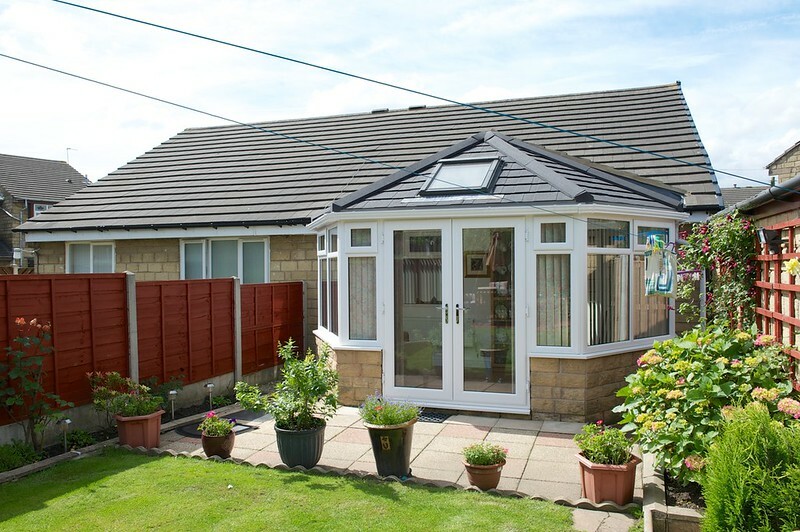 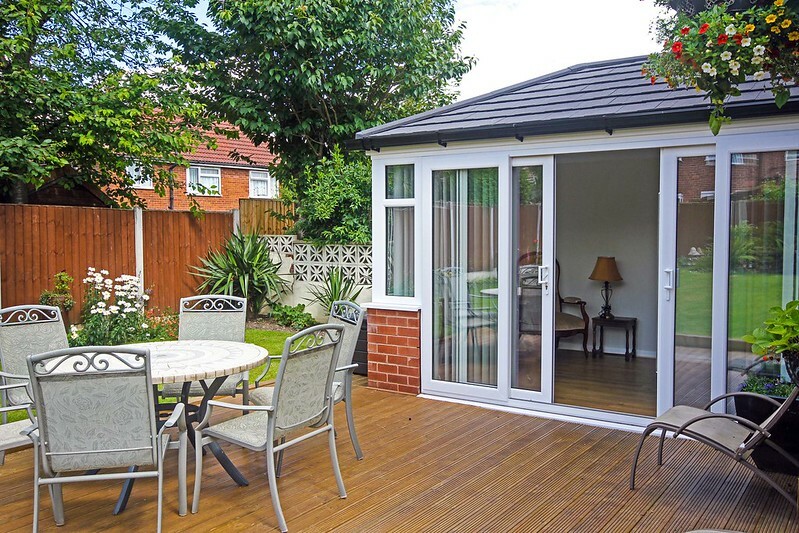 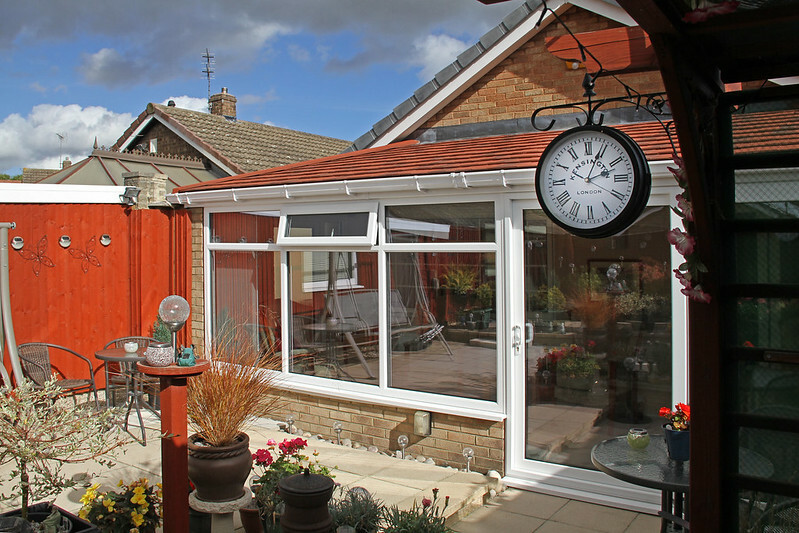 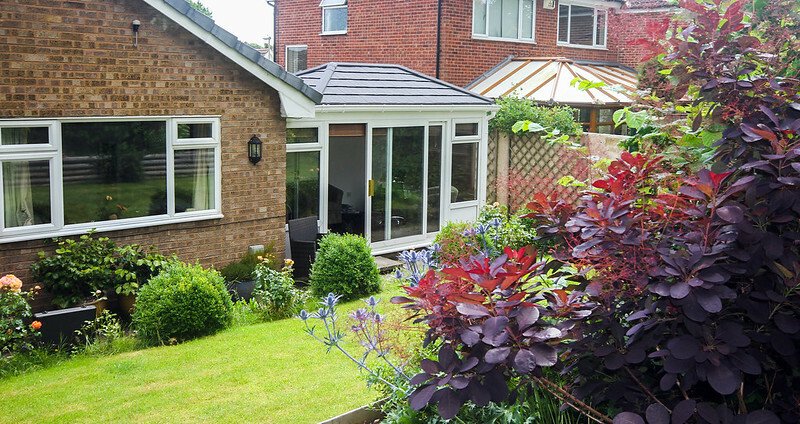 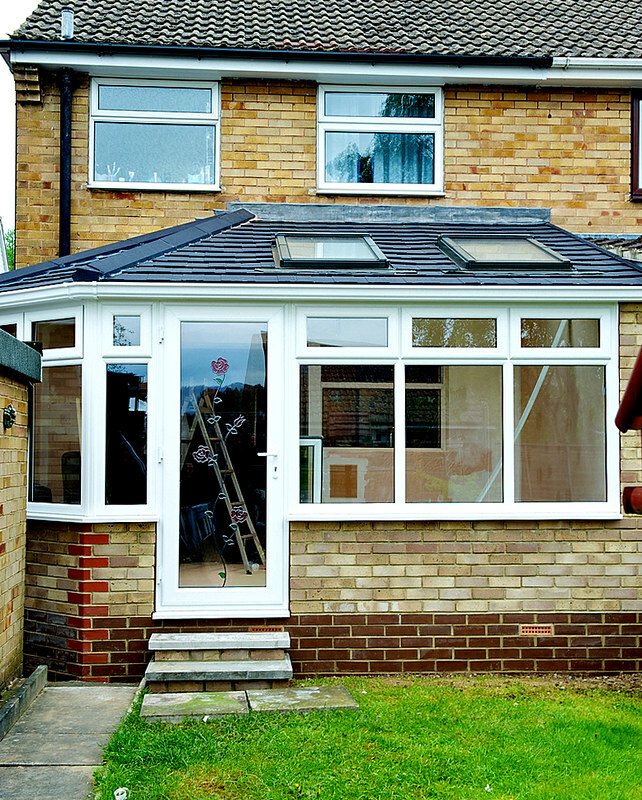 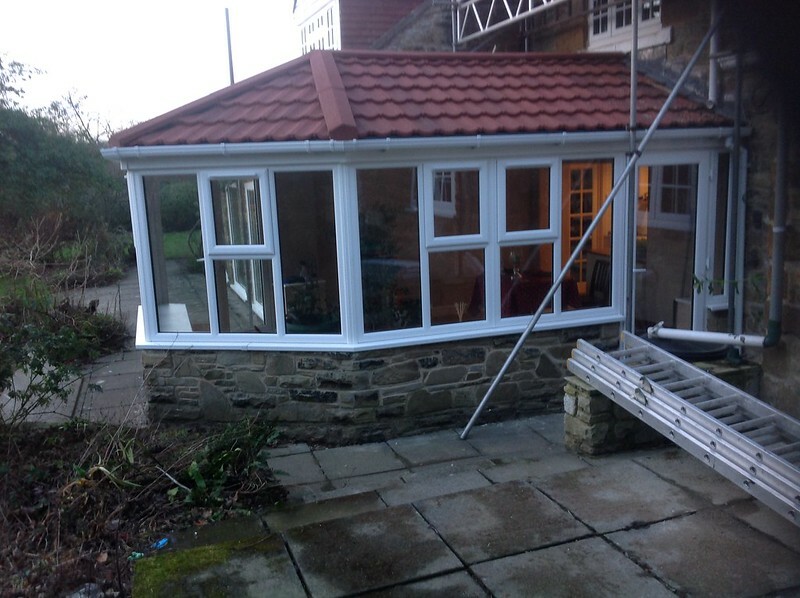 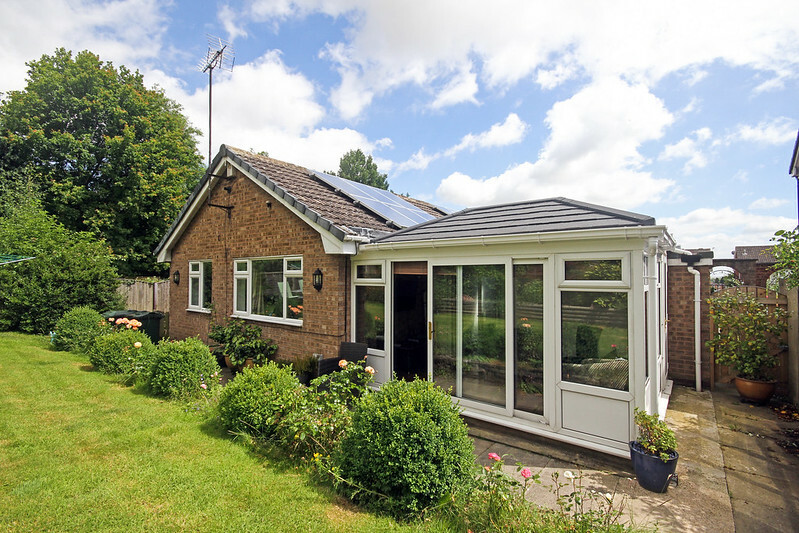 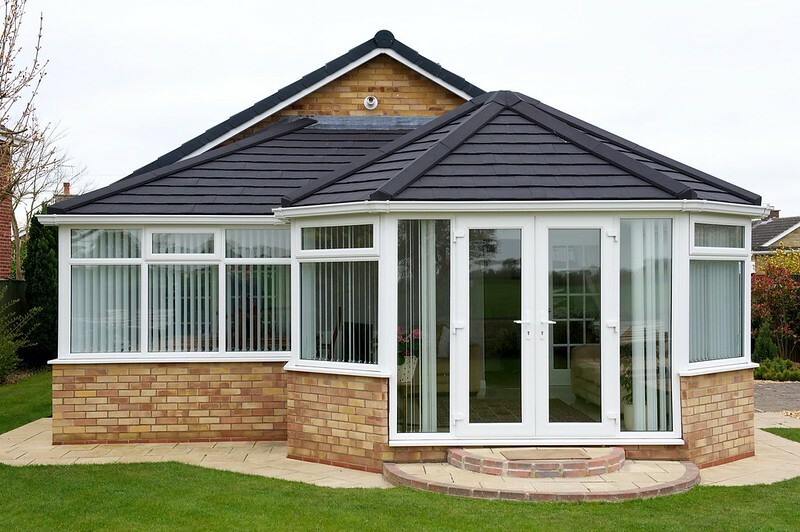 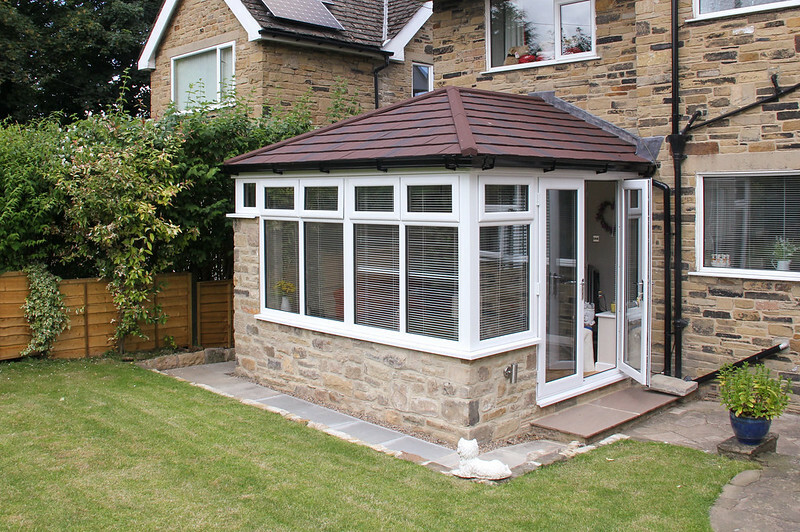 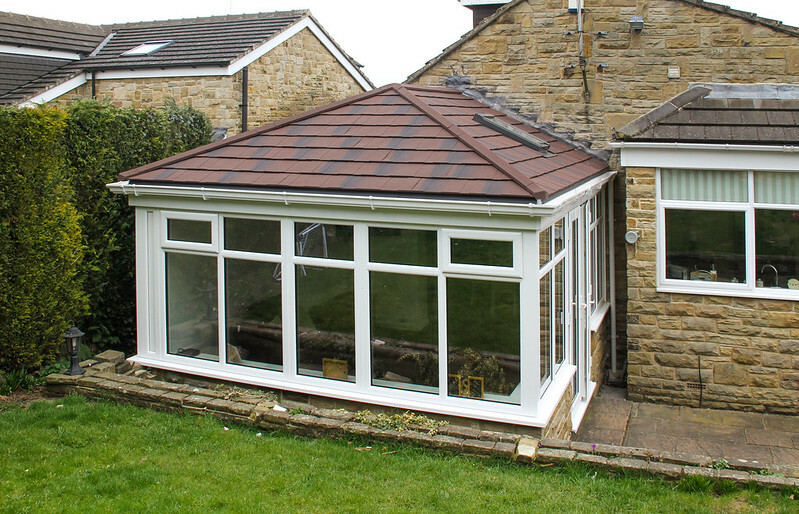 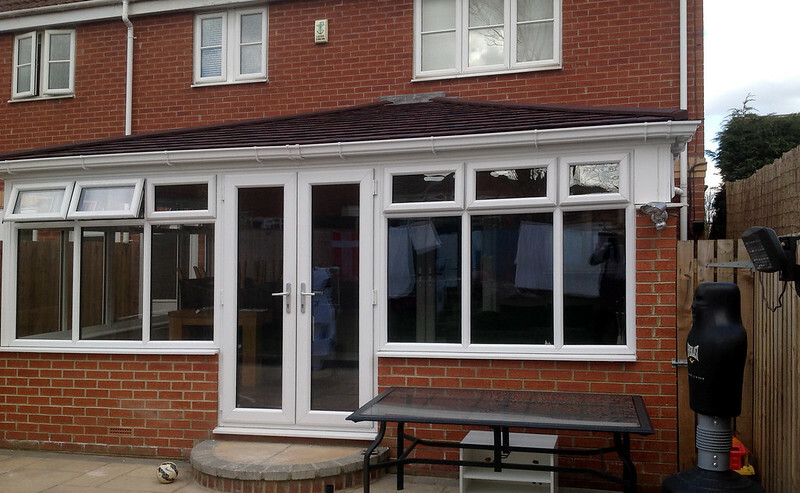 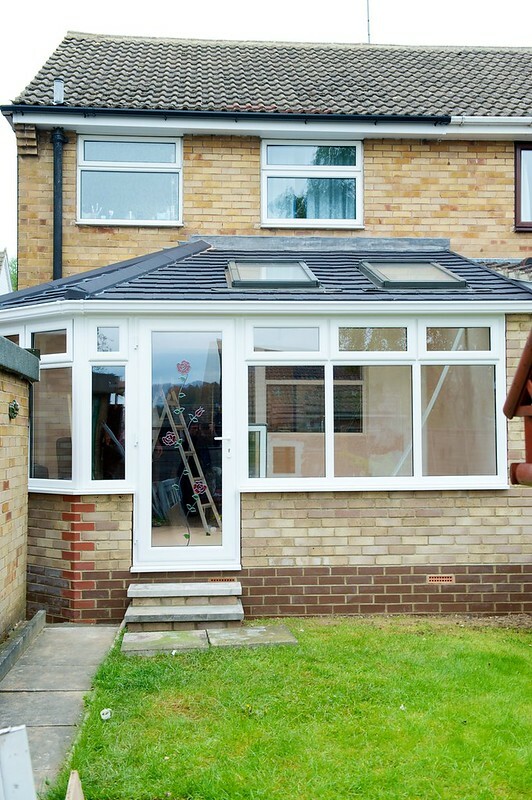 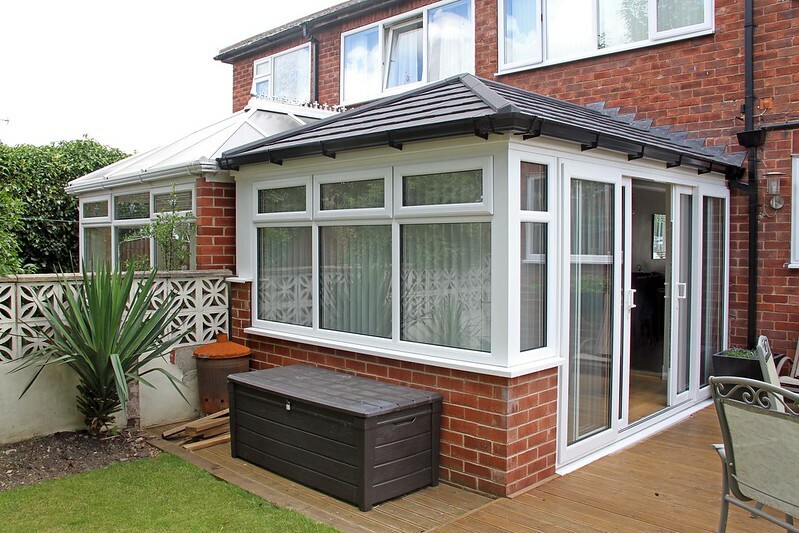 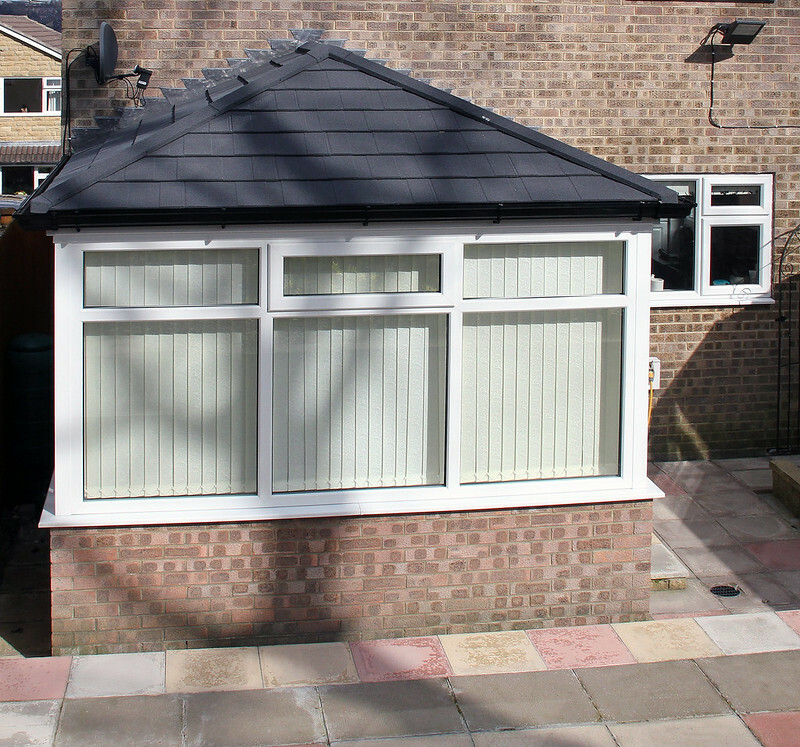 Building Regulations apply when replacing a conservatory roof with a lightweight tiled roof system. 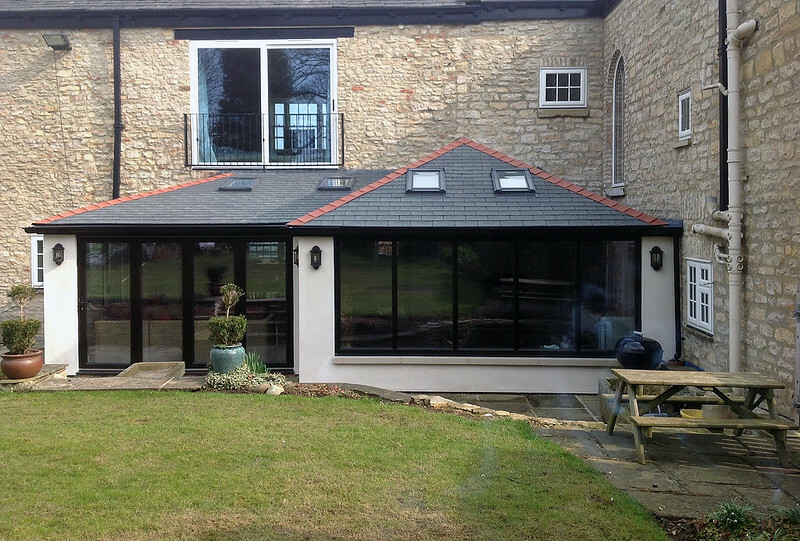 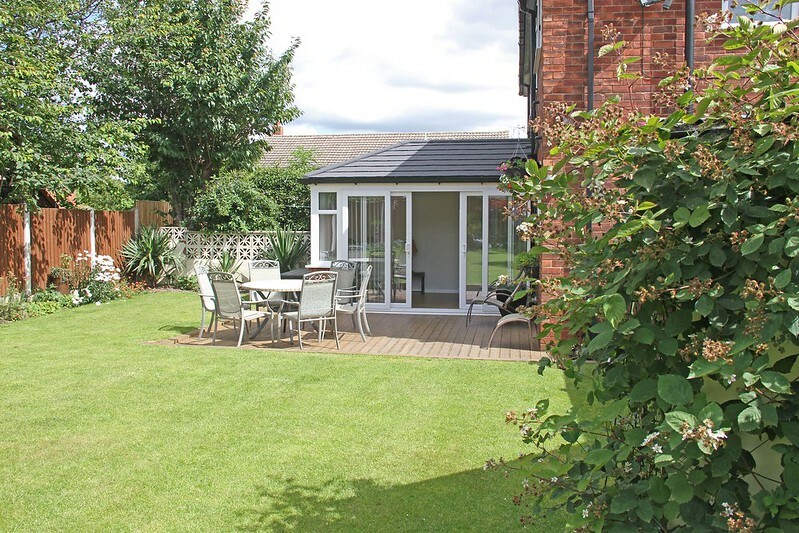 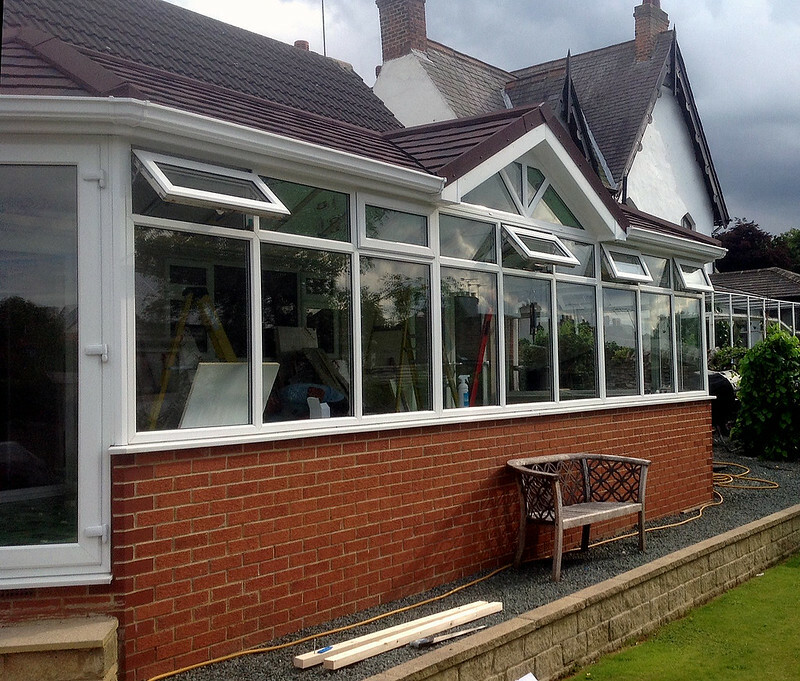 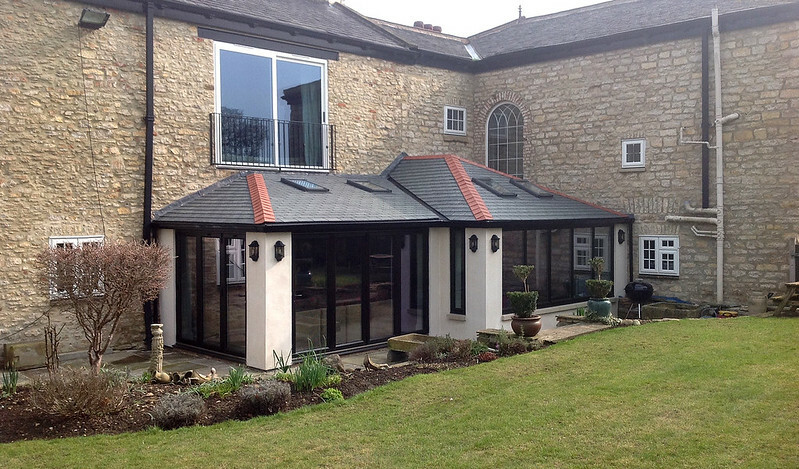 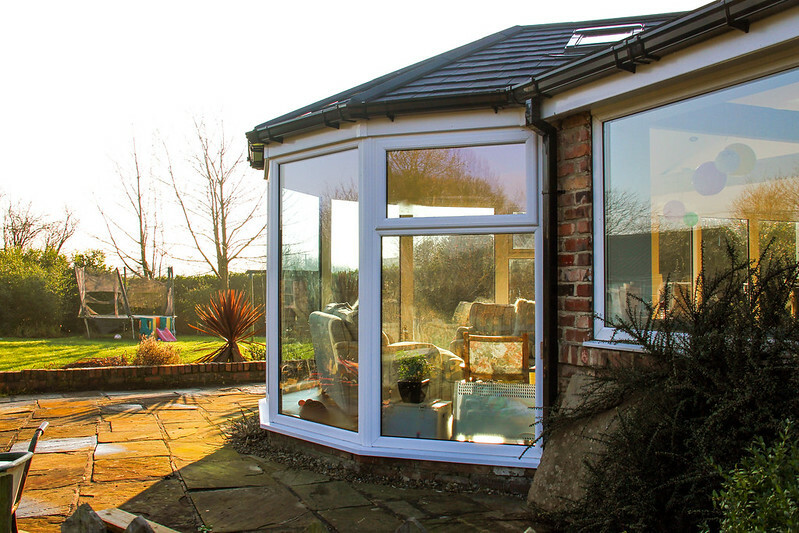 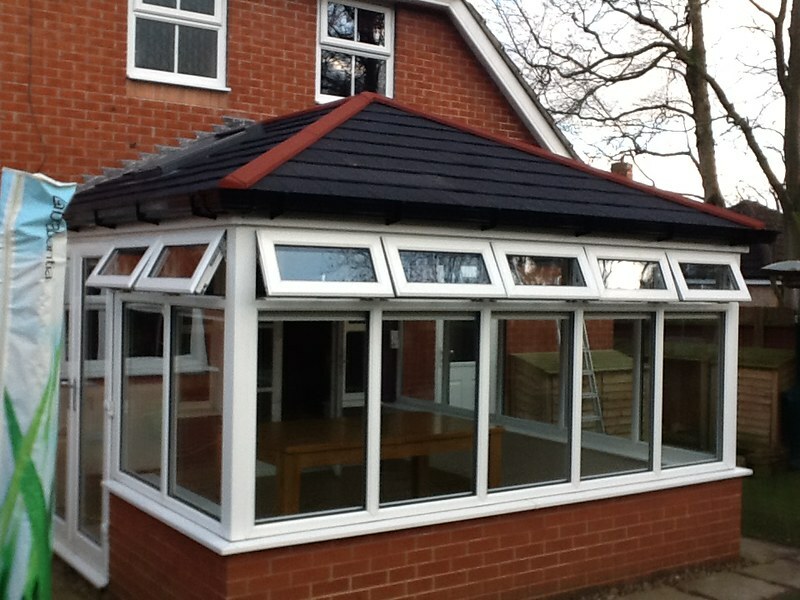 Our replacement conservatory roofs meet current Building Regulations guidelines. TWS take care of all of the Building Regulations certification for you making the process simple and giving you one point of contact. 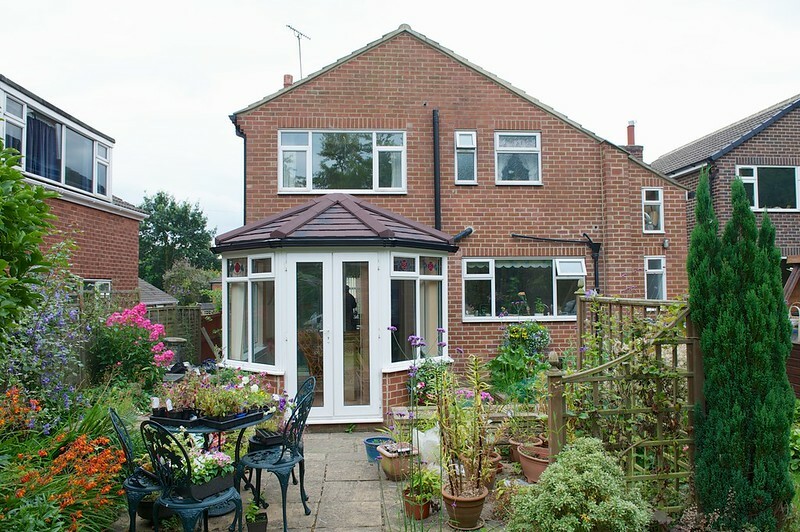 Planning permission is not normally required. 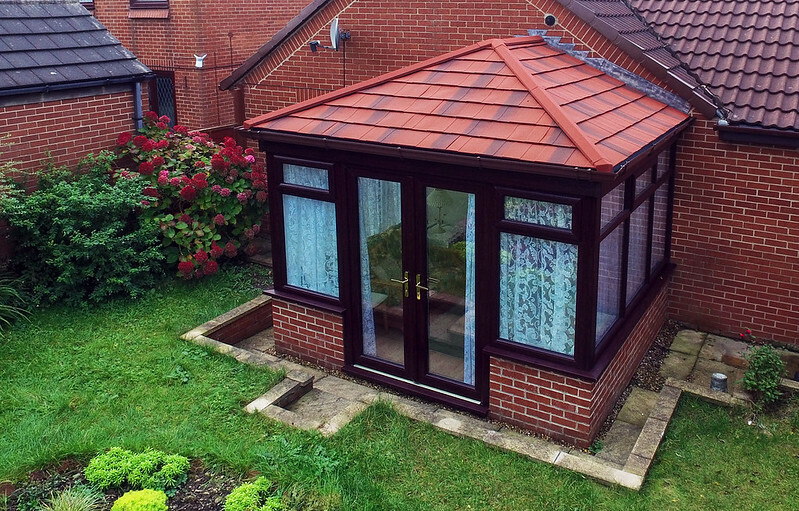 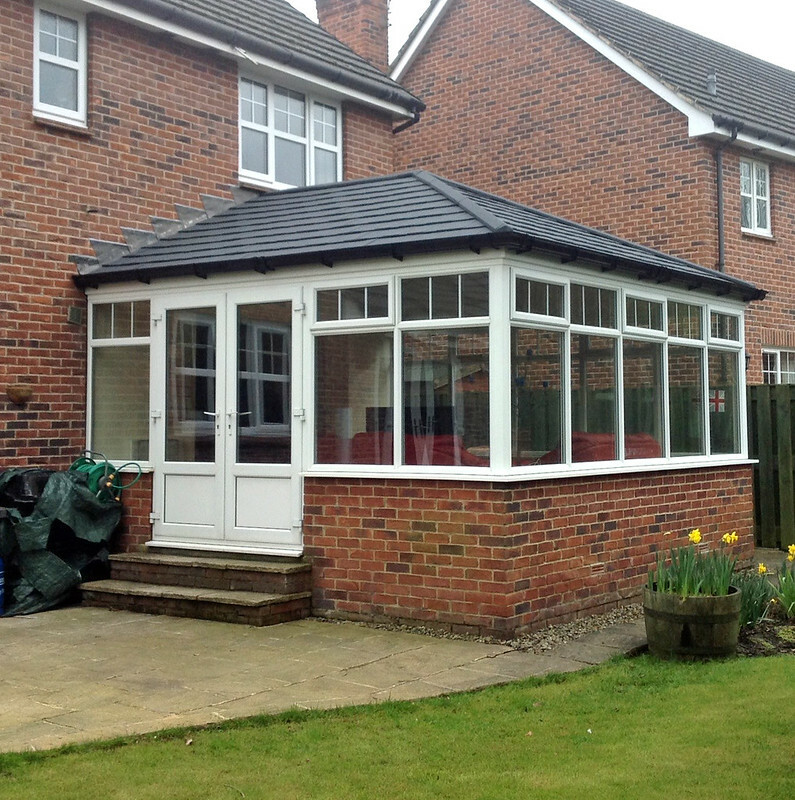 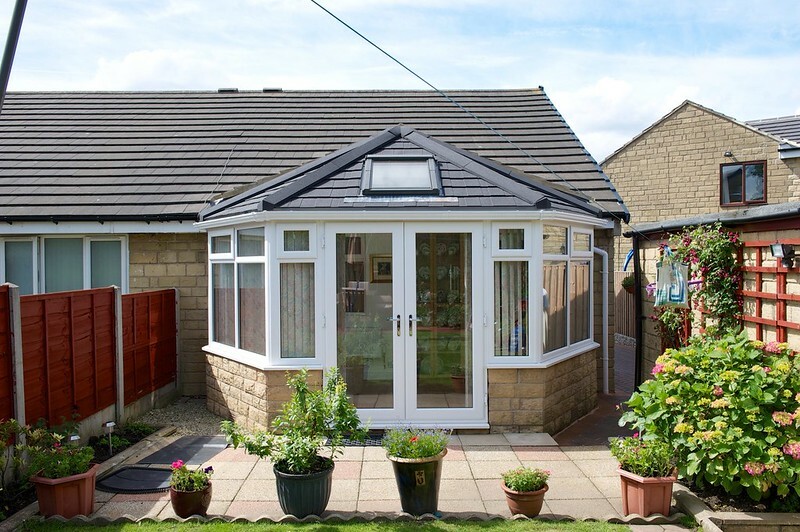 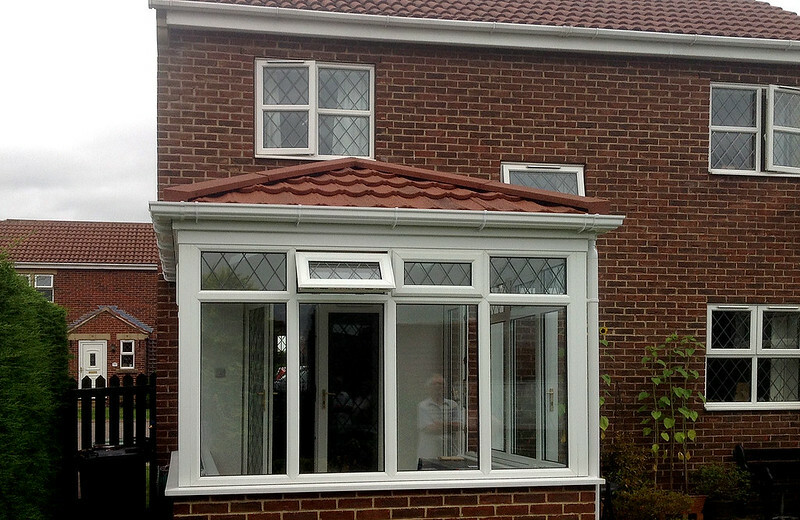 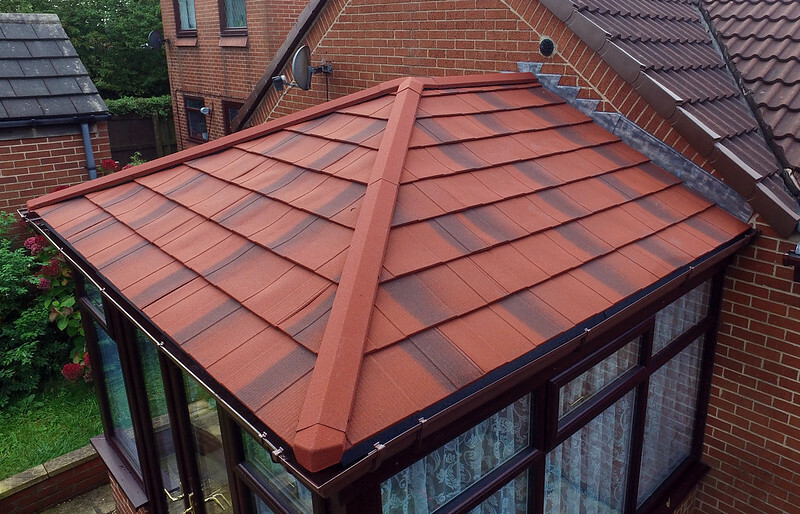 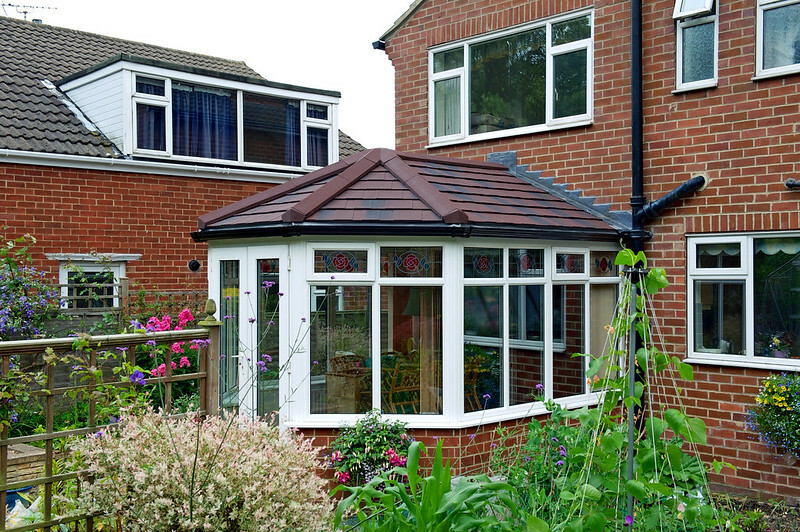 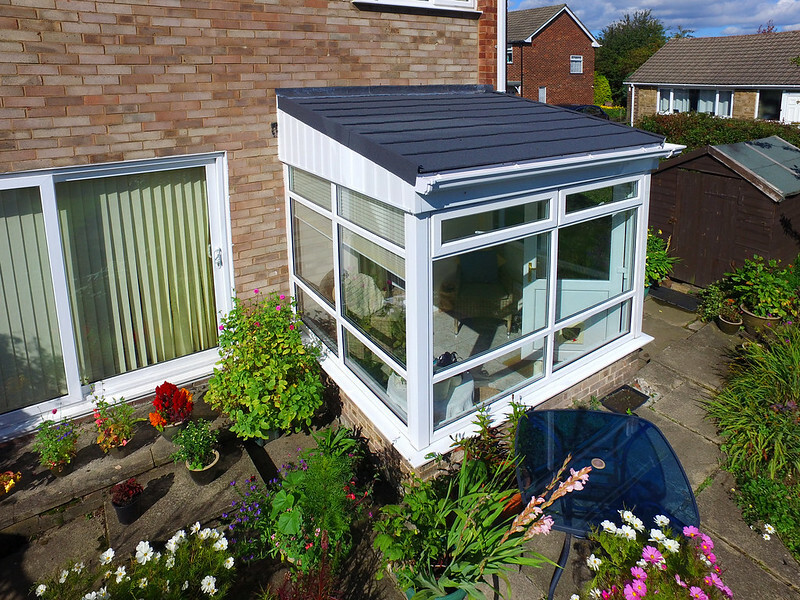 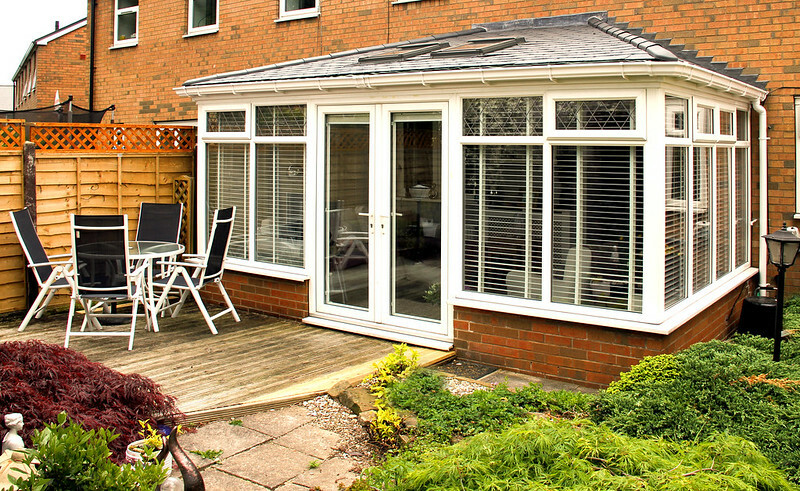 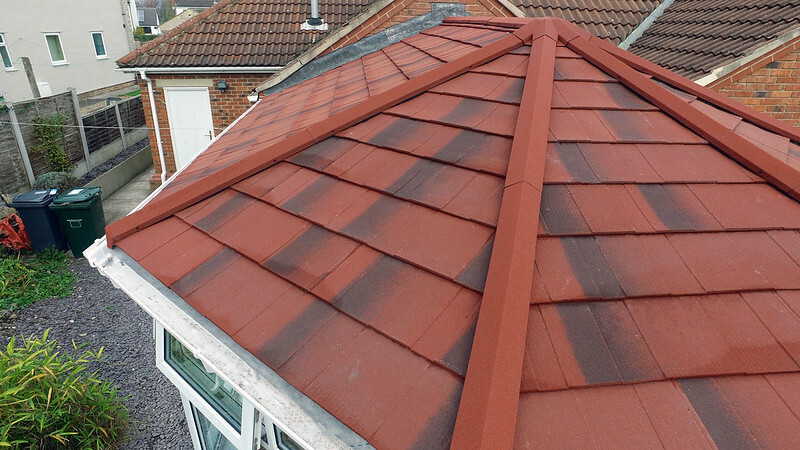 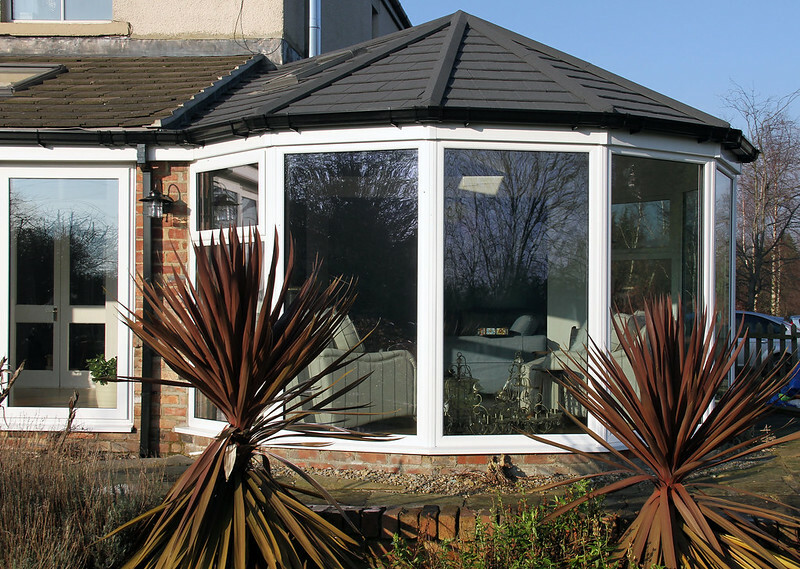 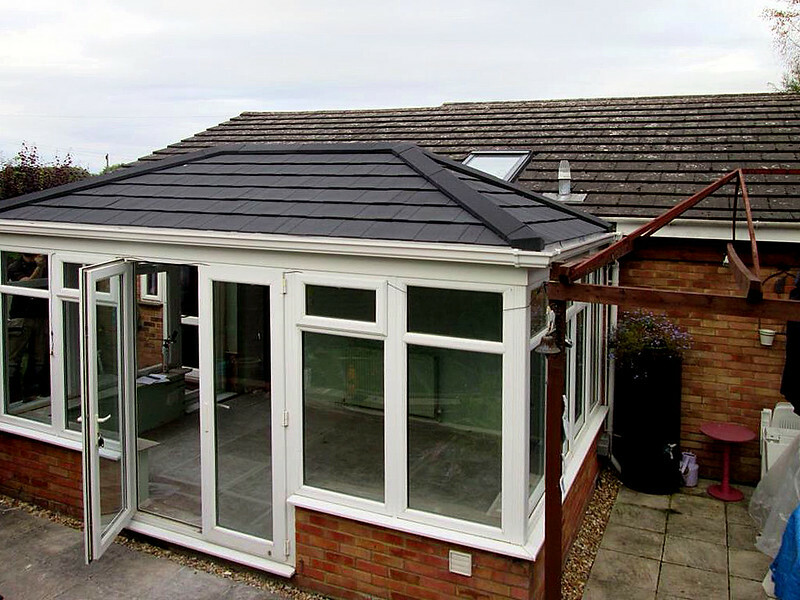 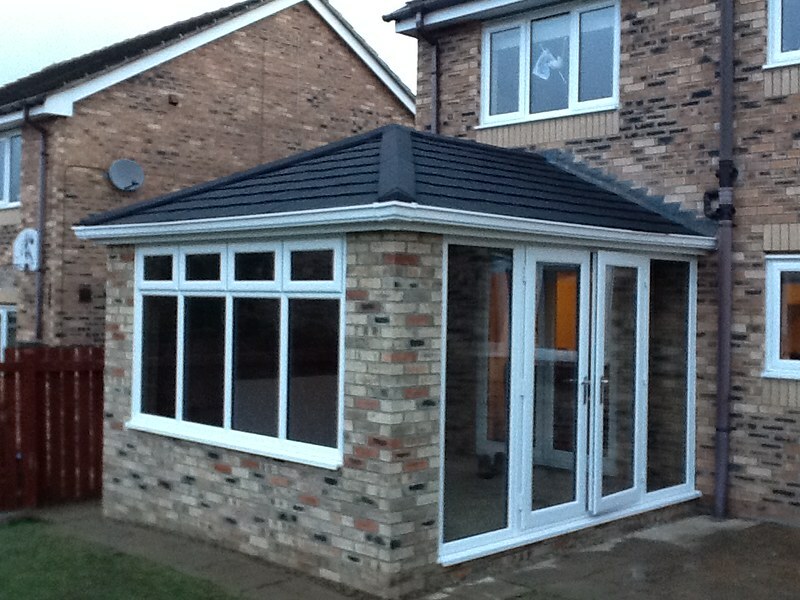 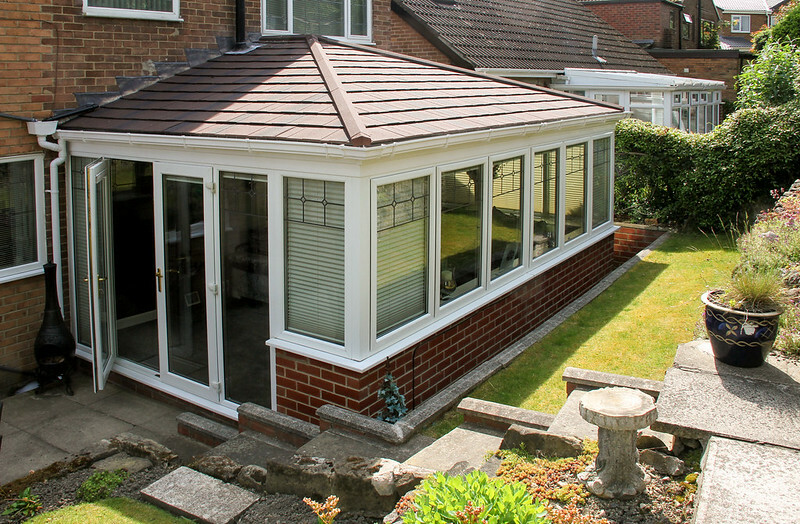 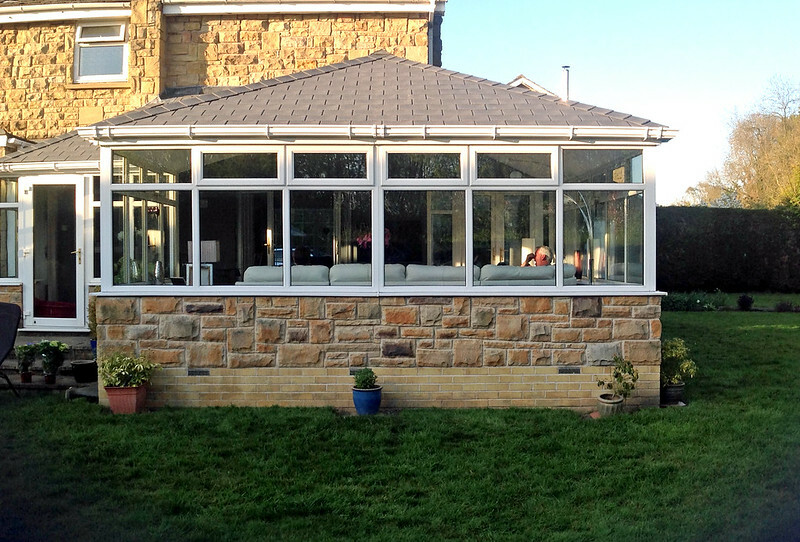 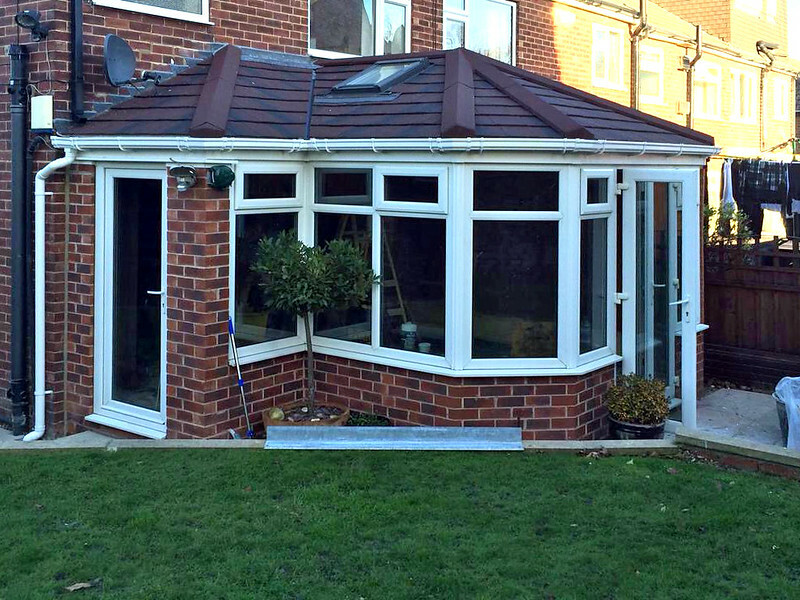 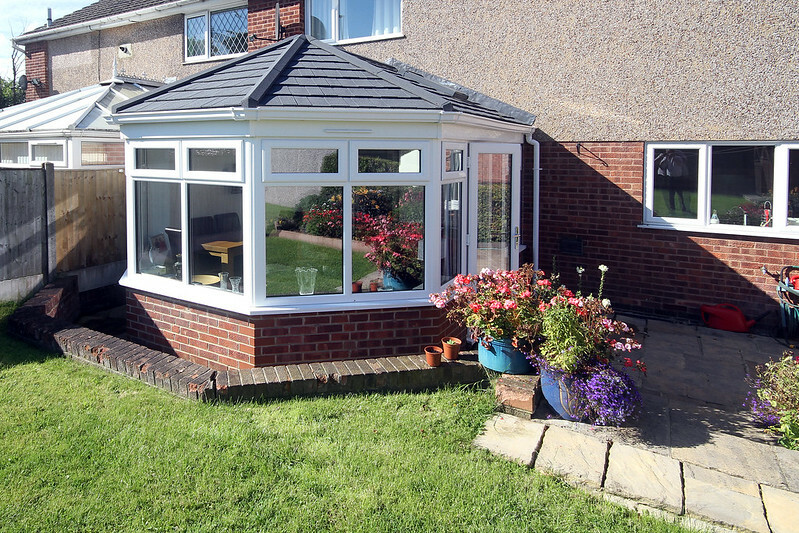 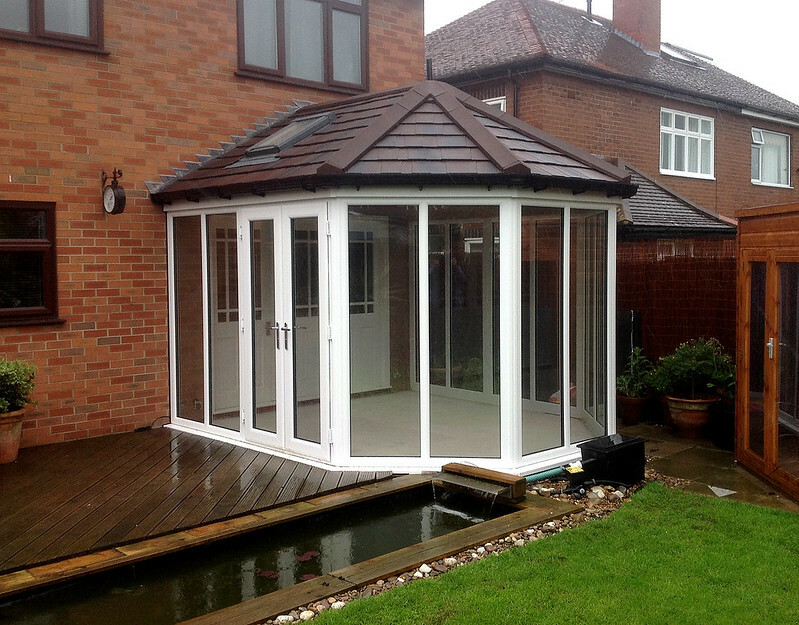 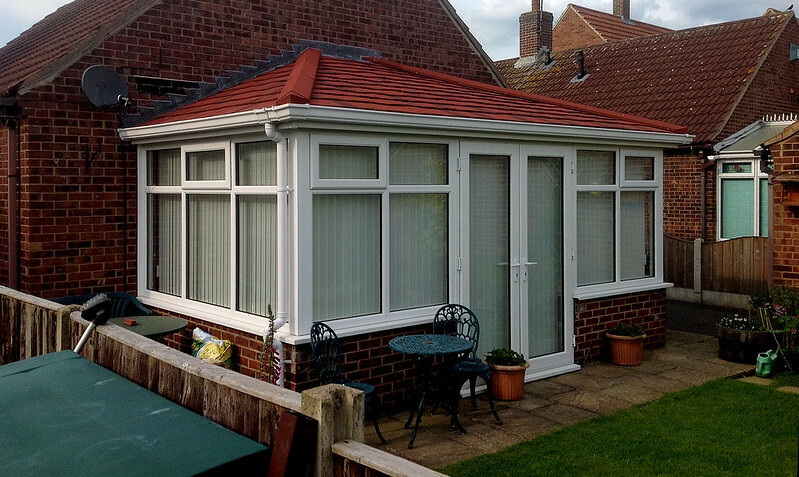 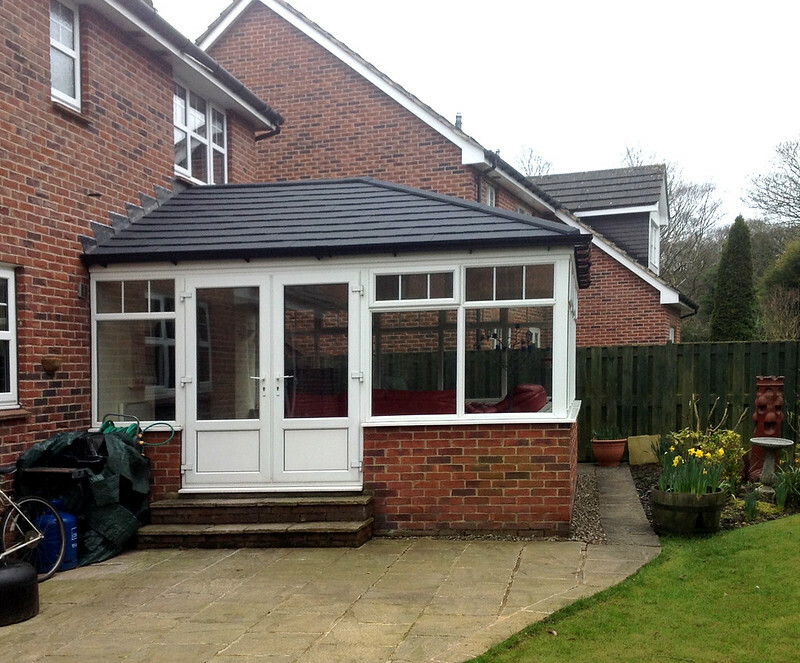 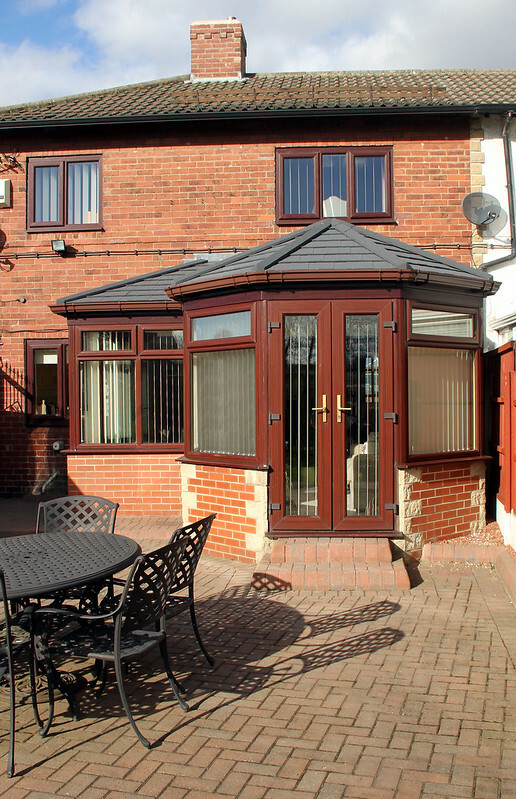 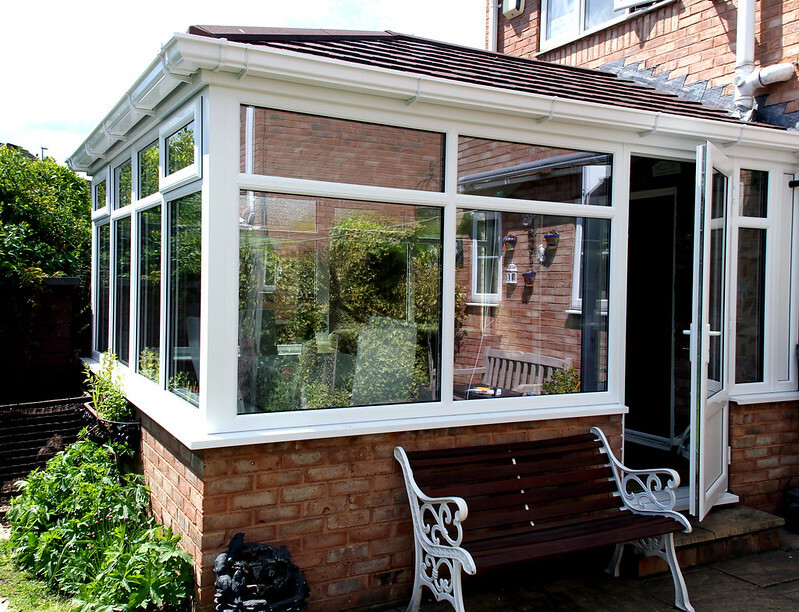 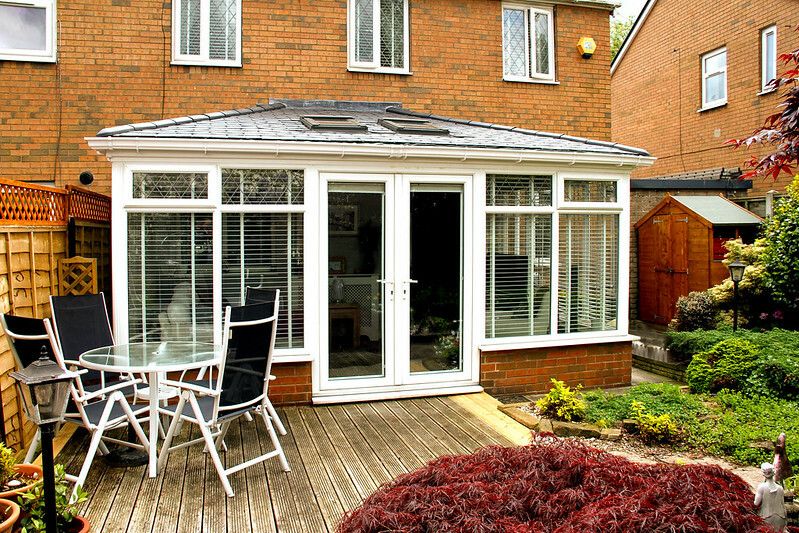 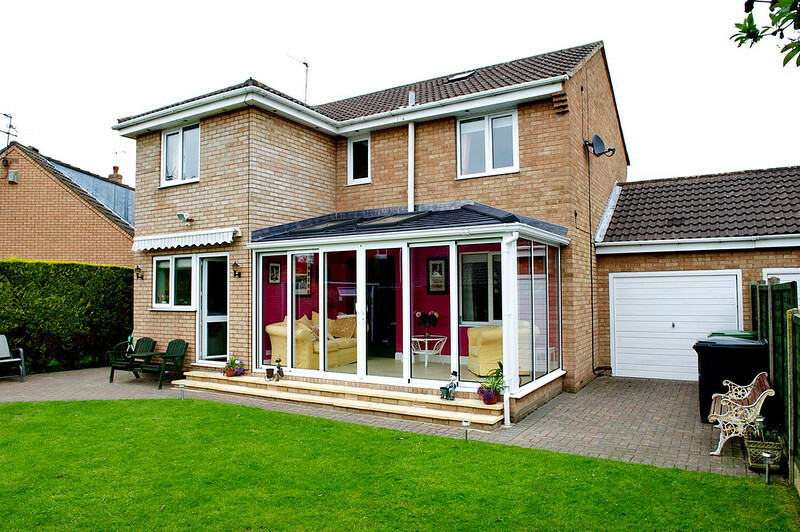 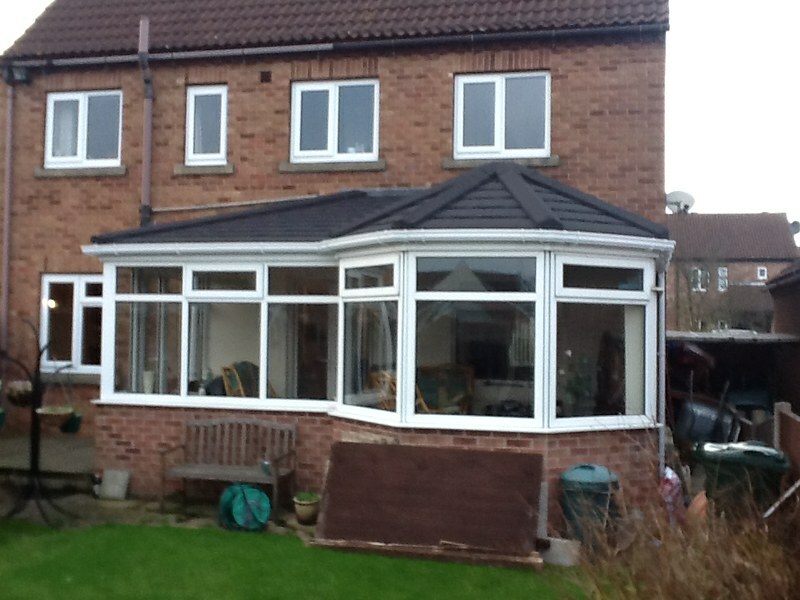 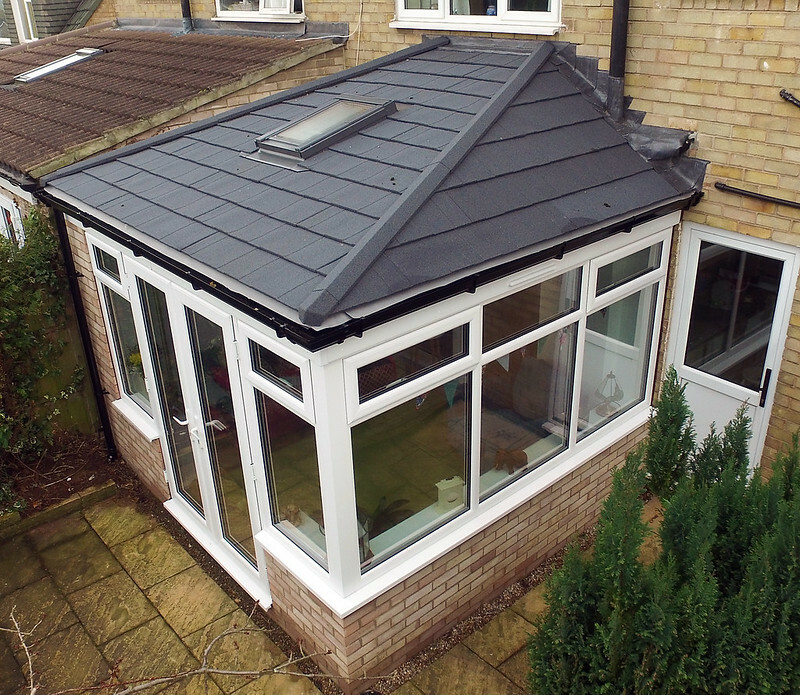 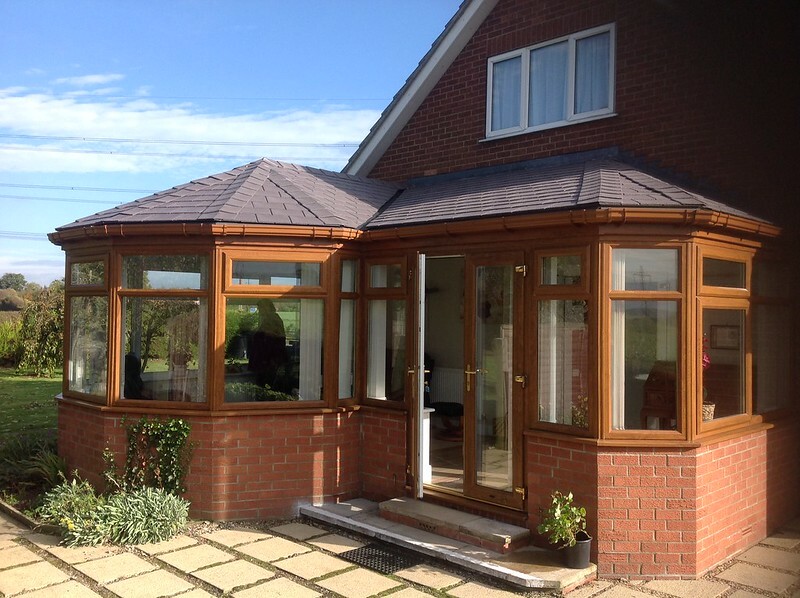 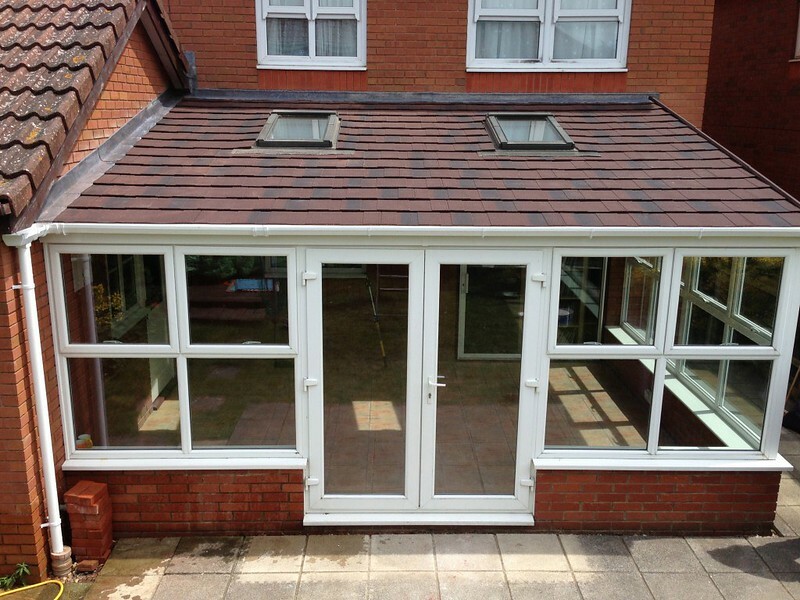 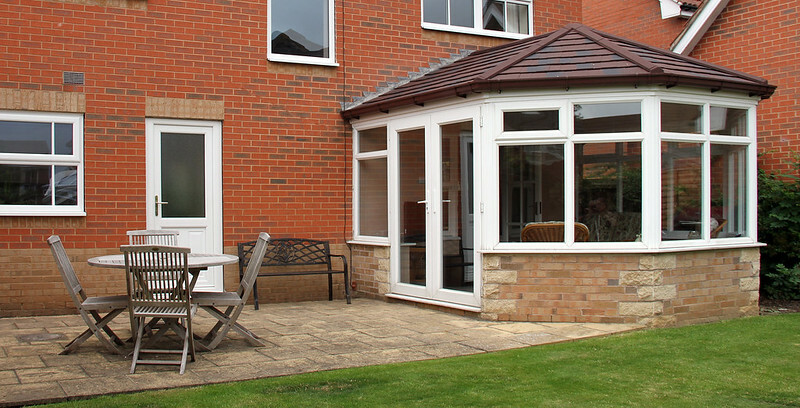 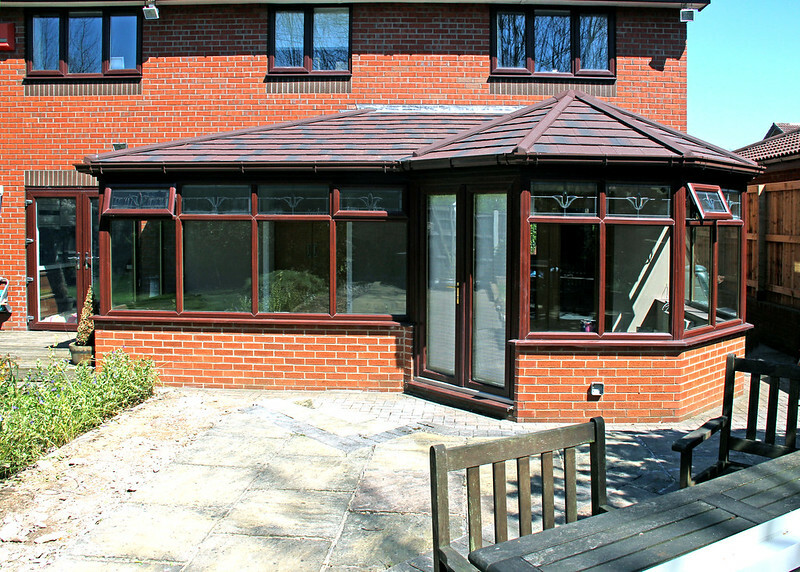 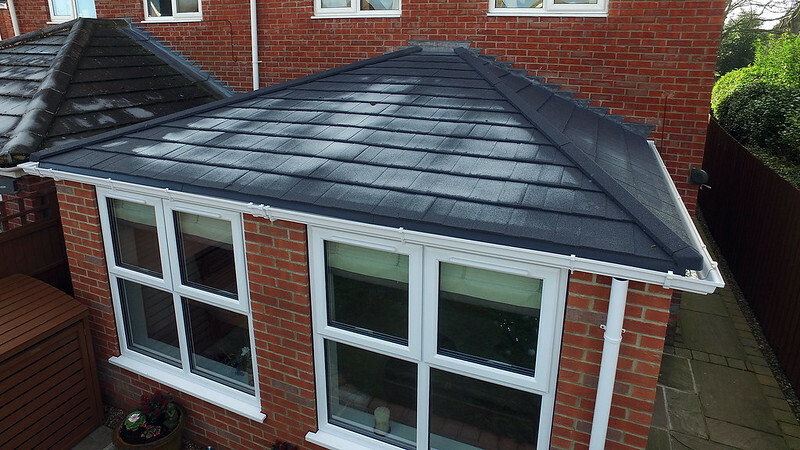 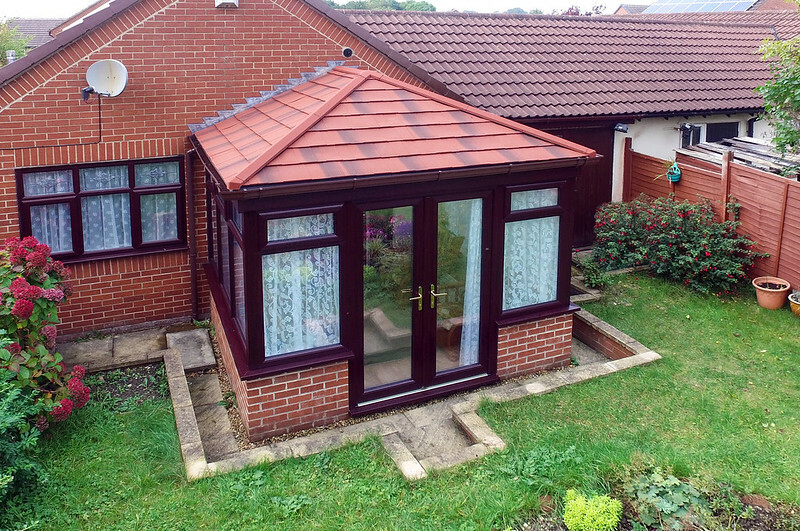 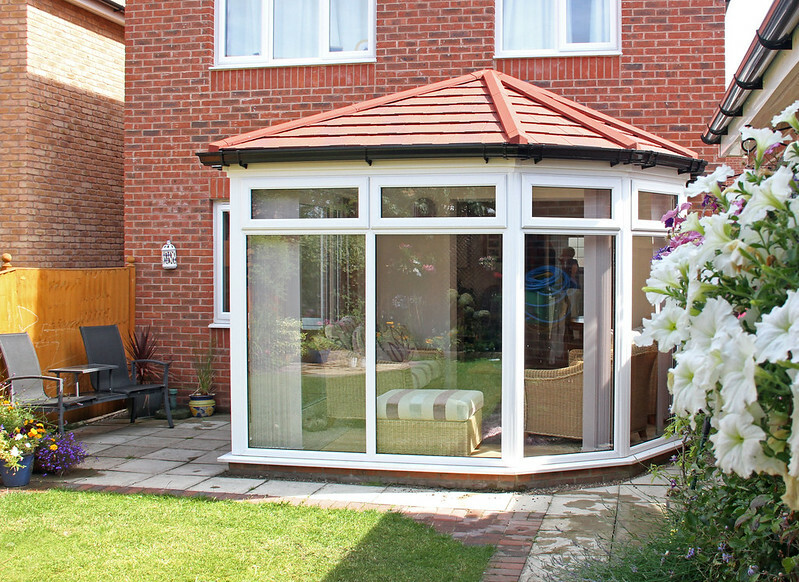 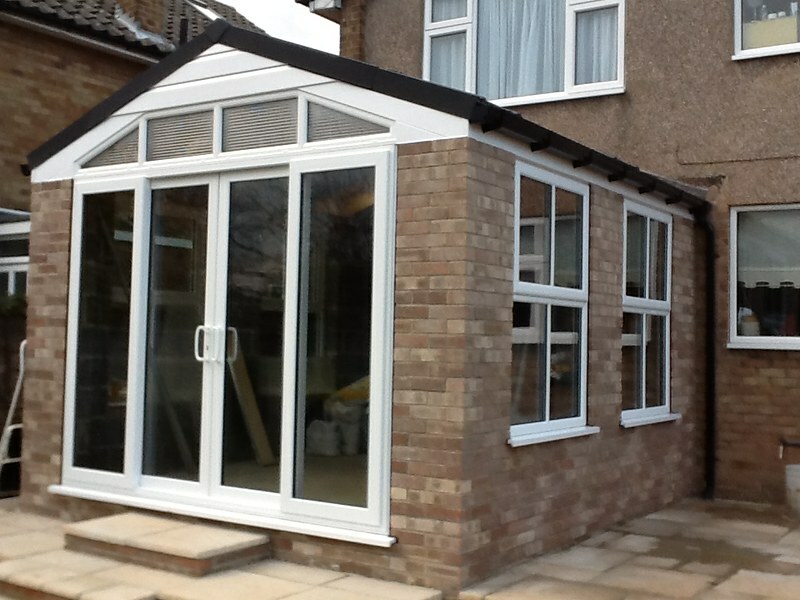 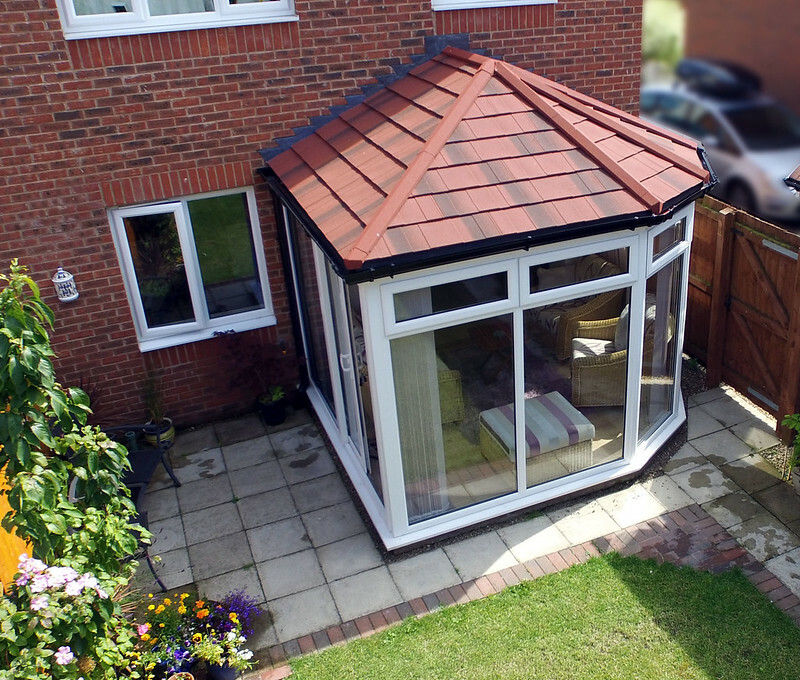 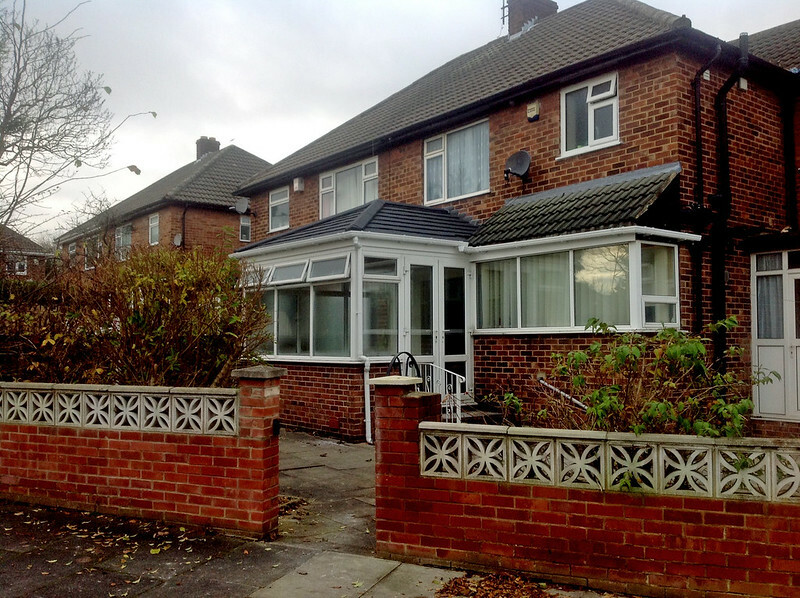 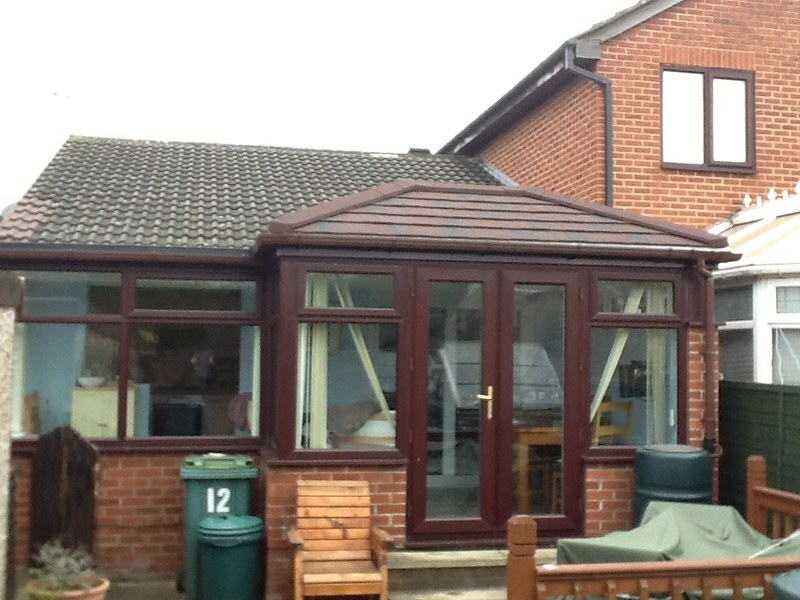 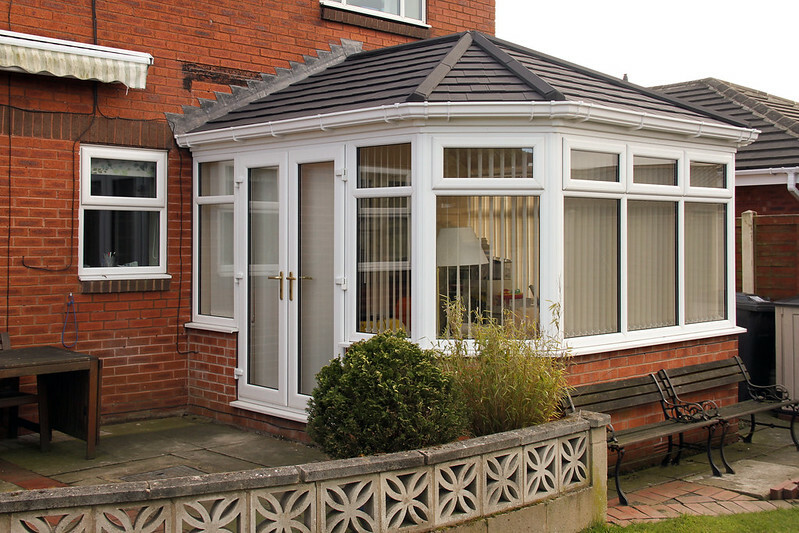 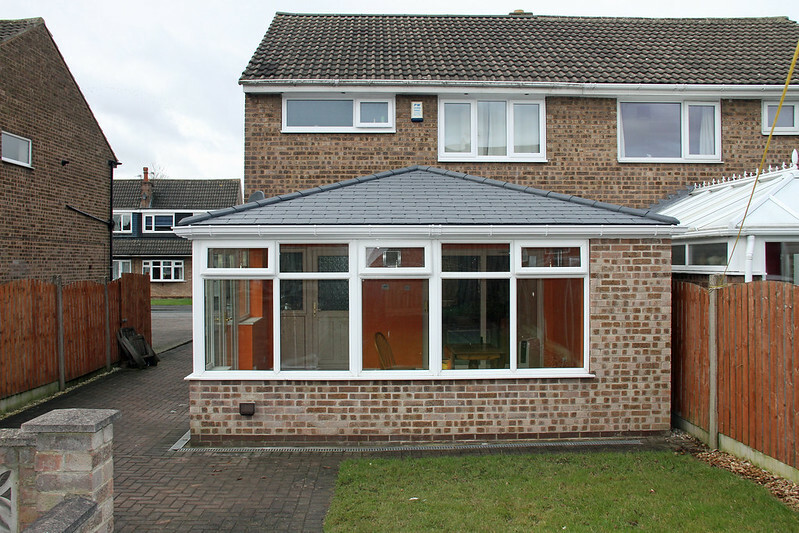 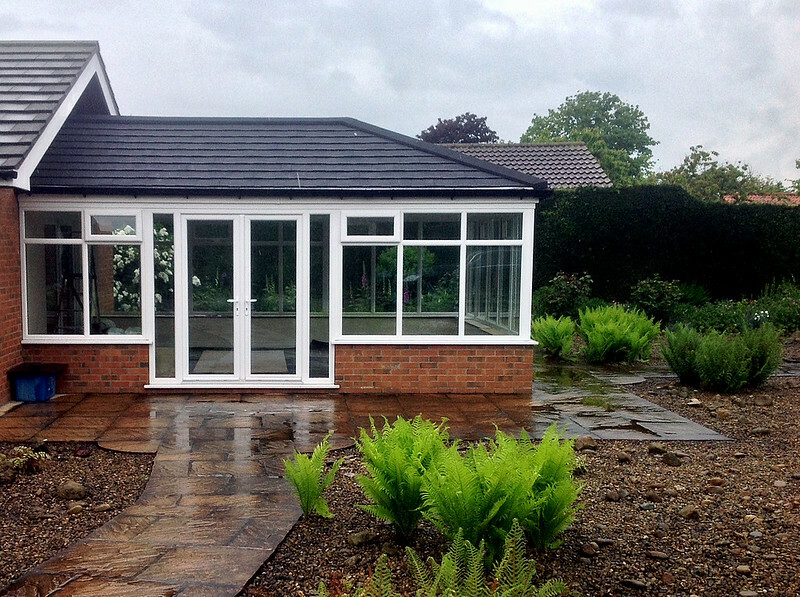 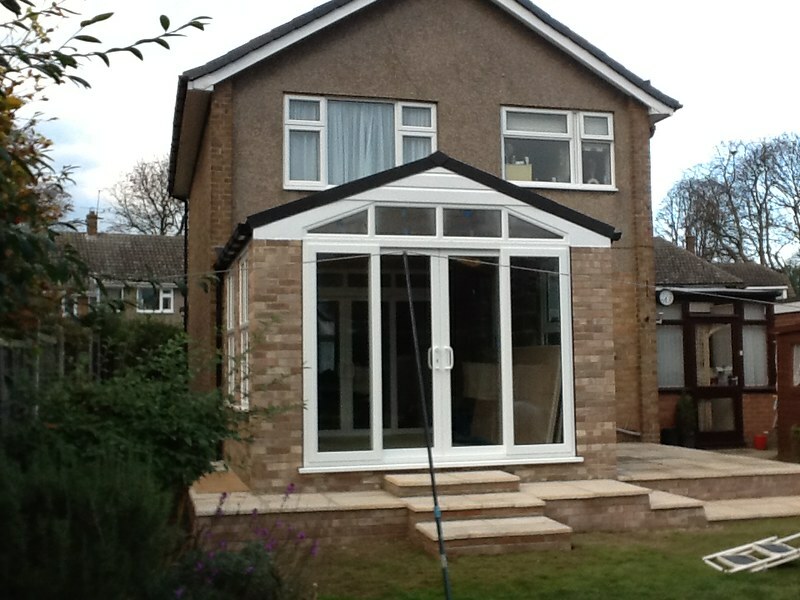 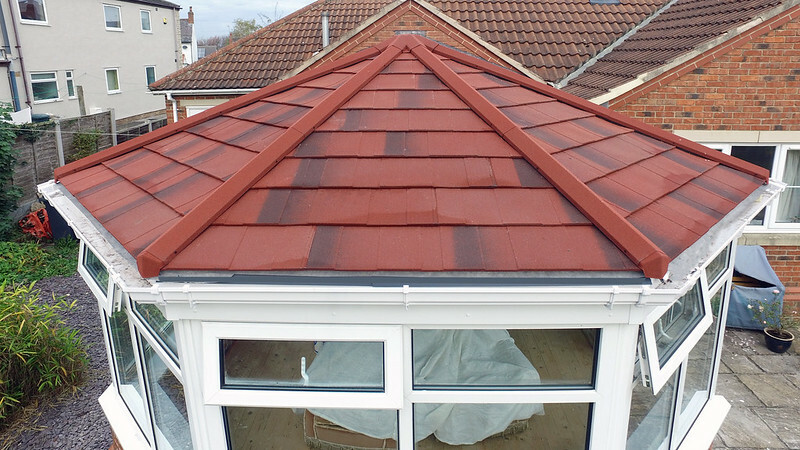 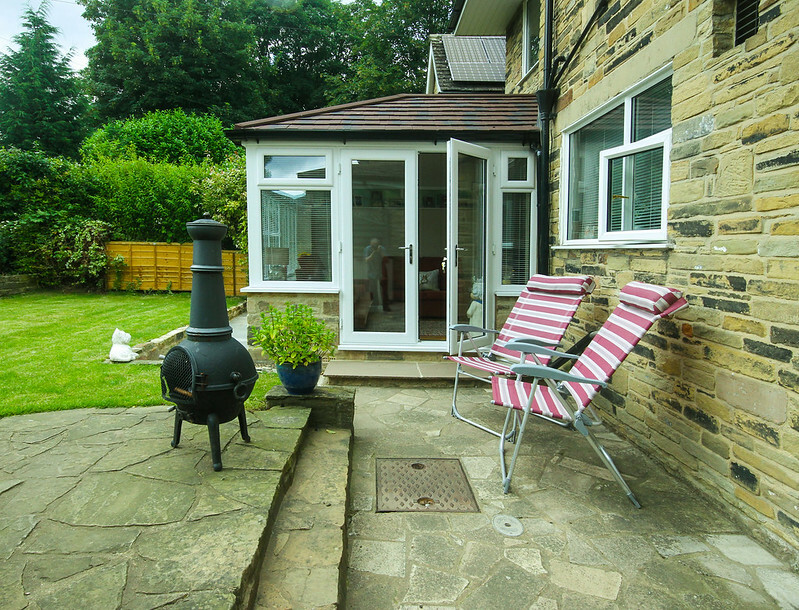 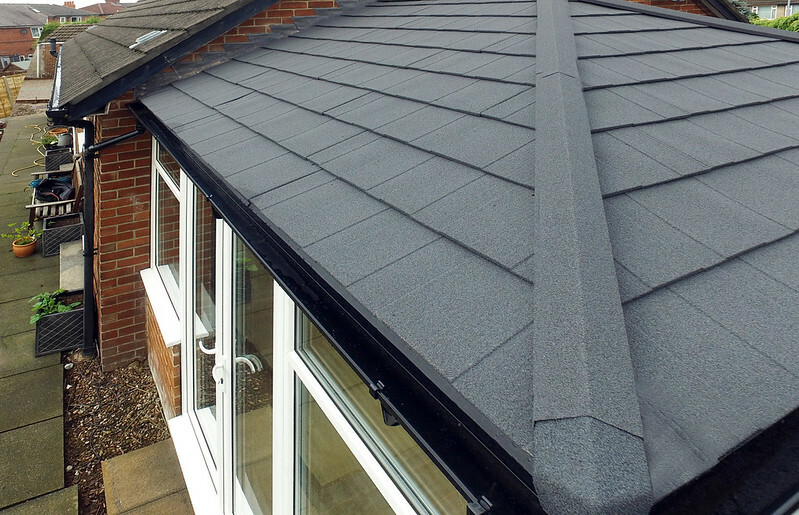 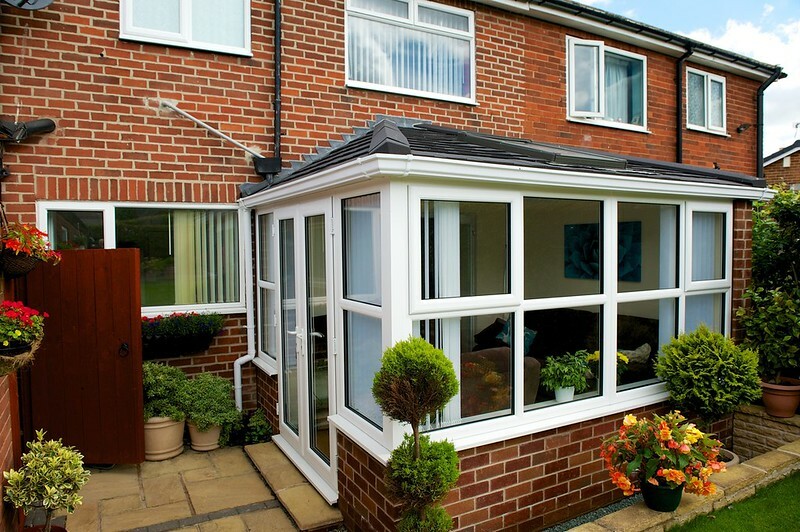 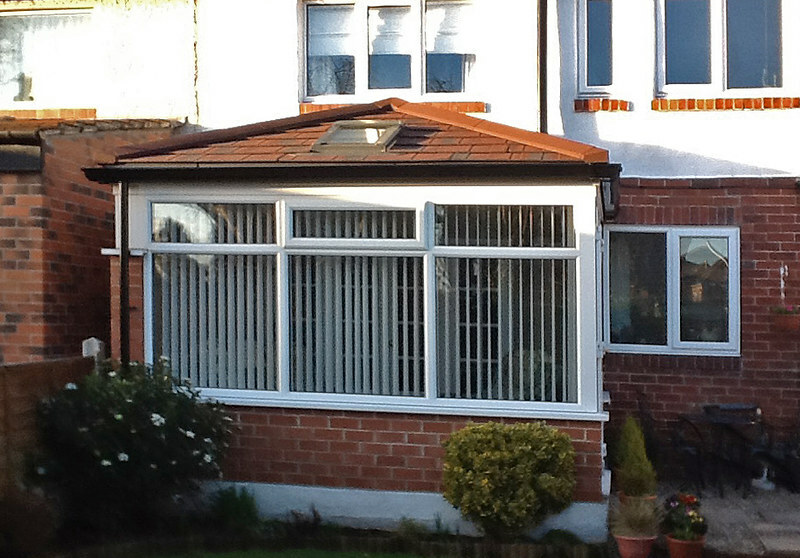 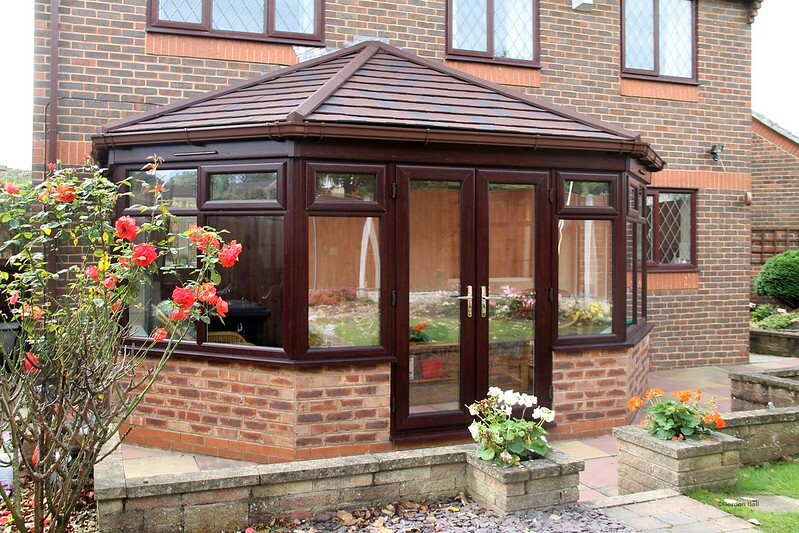 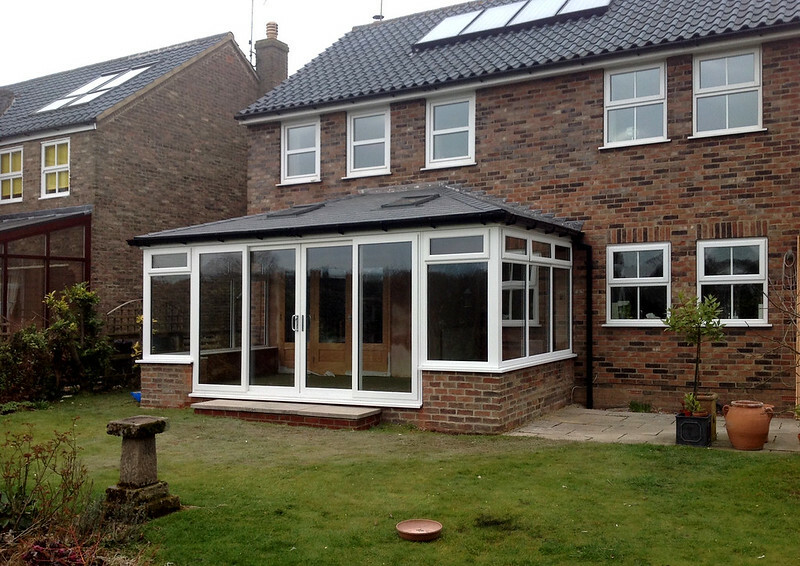 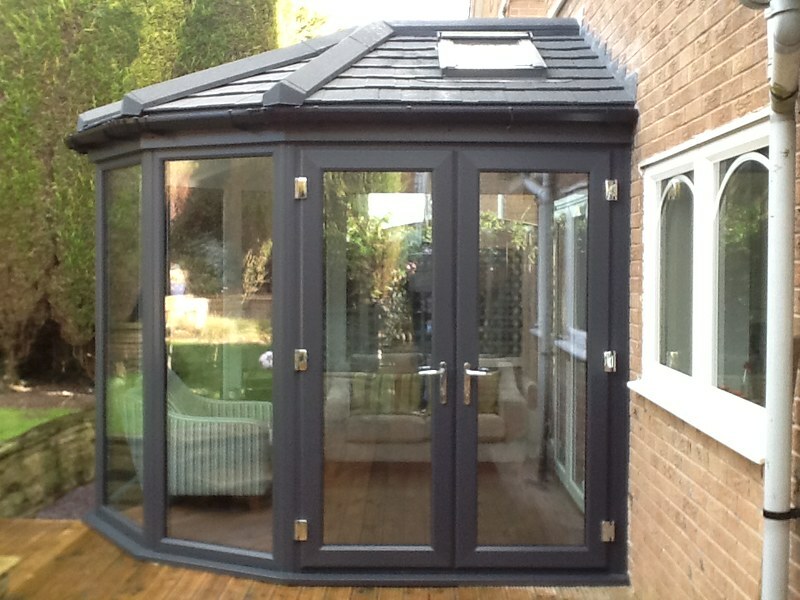 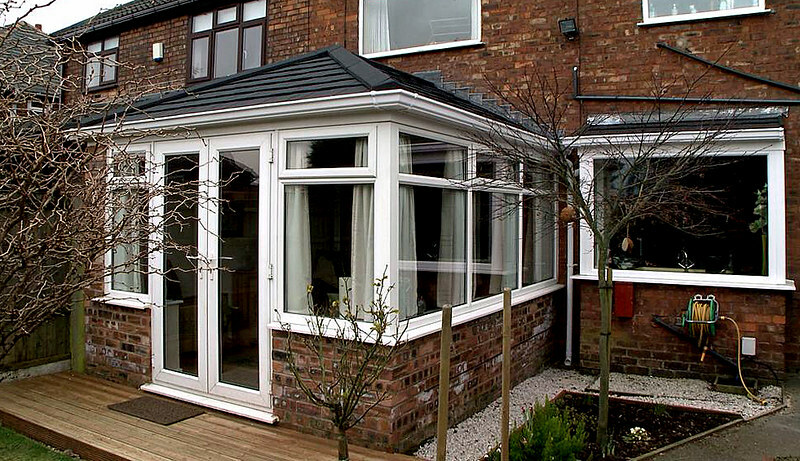 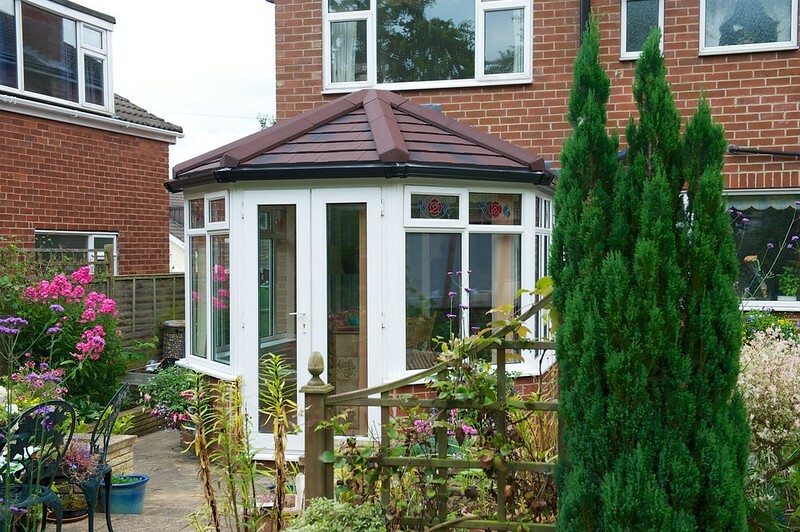 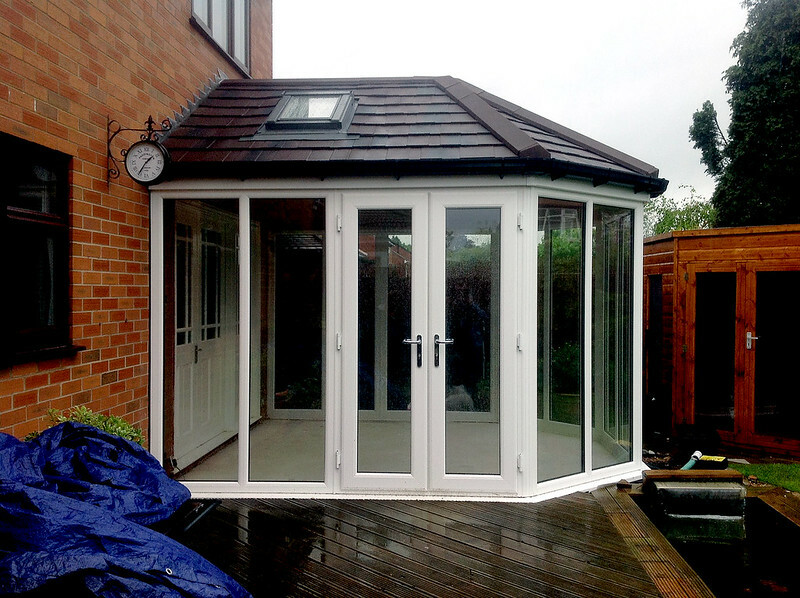 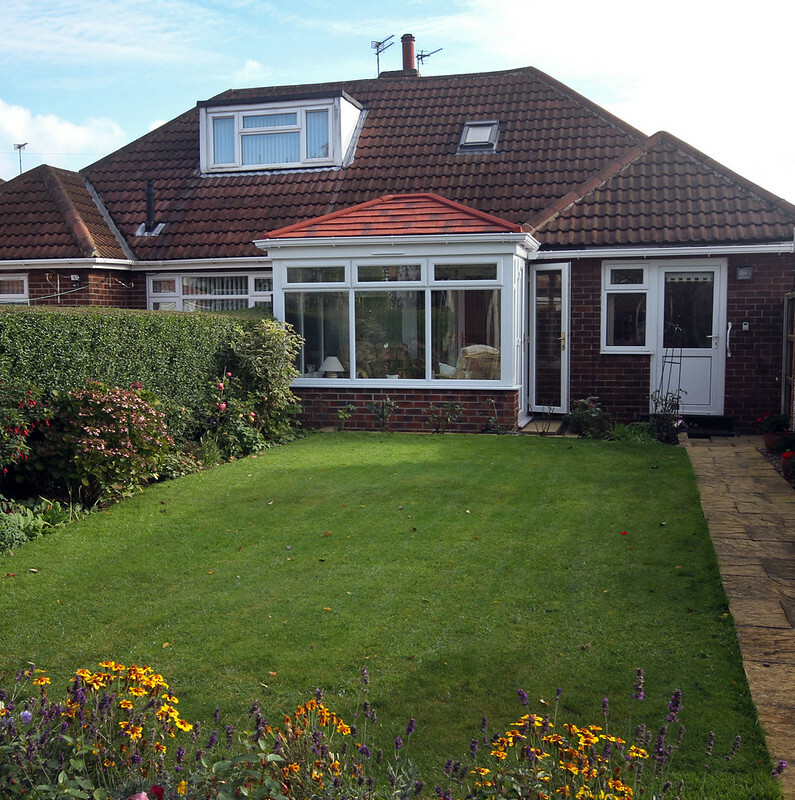 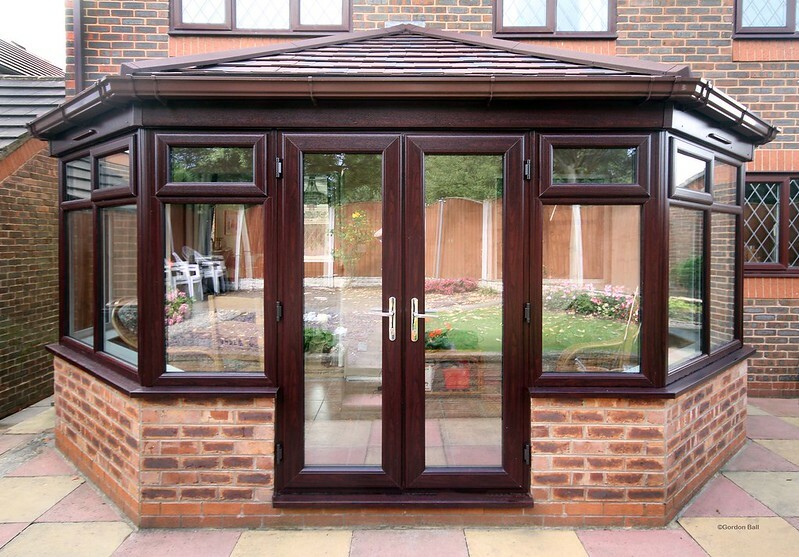 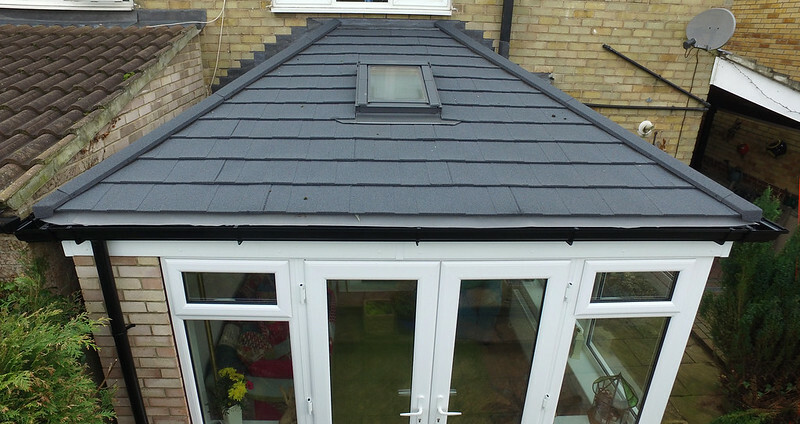 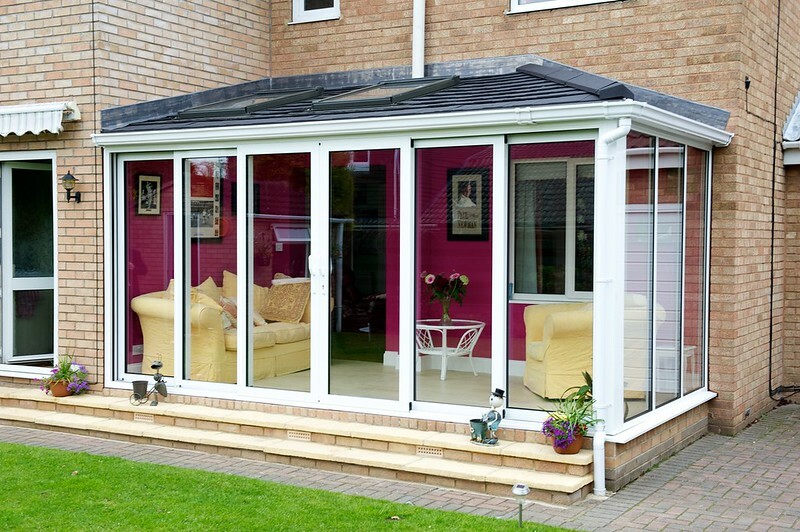 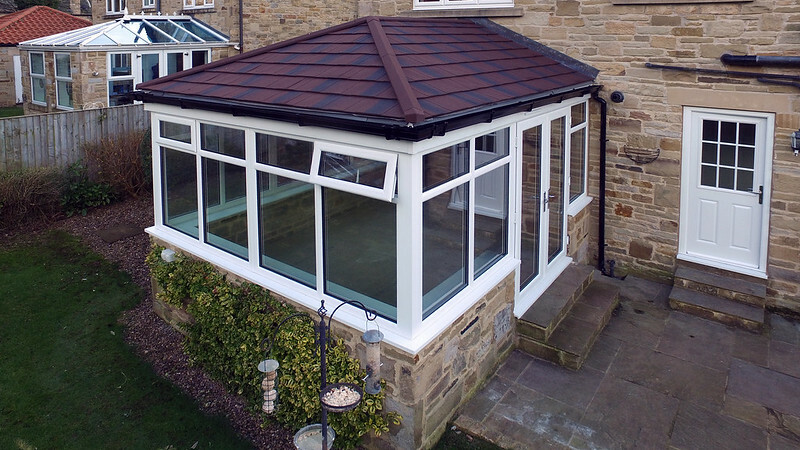 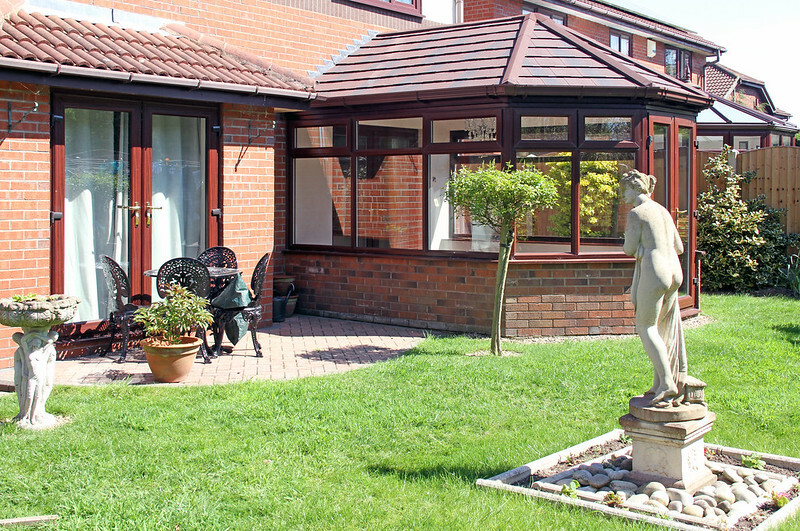 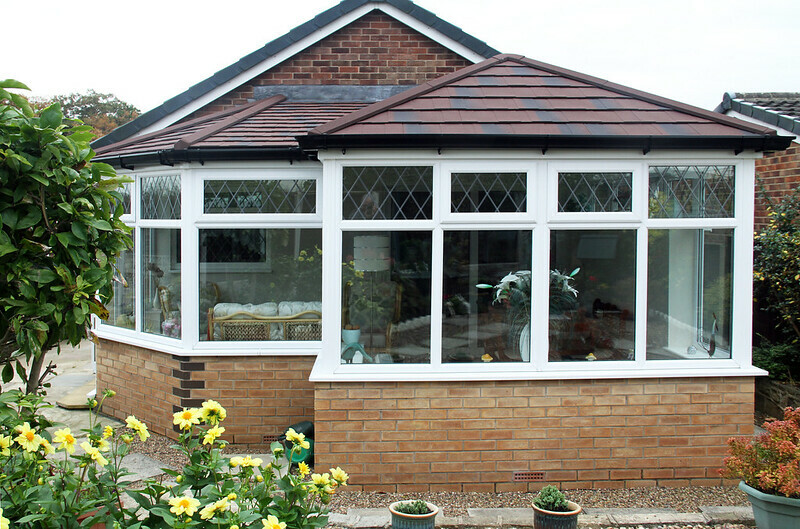 Our replacement conservatory roof is aesthetically superior to its conventional rivals. 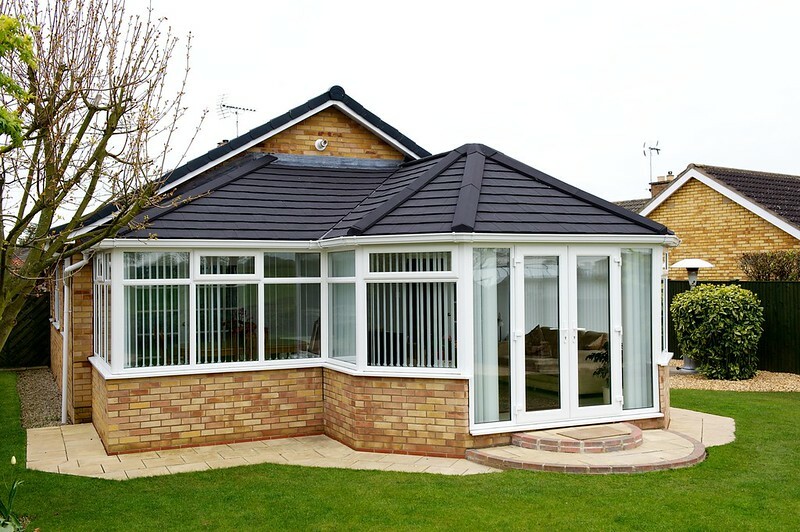 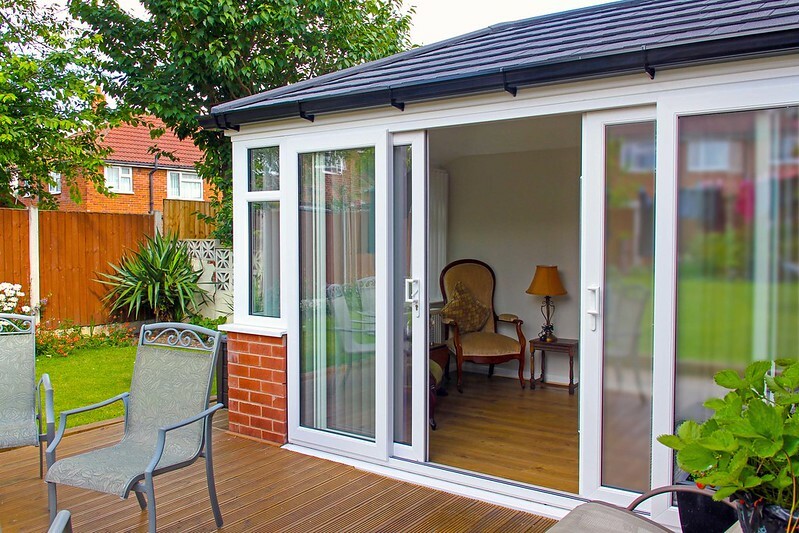 Its tiles and cappings are streamlined and unobtrusive and because it does not rely upon bulky portal frames, concrete or brick columns, its lightweight facet provides for more options in relation to window and door selection. 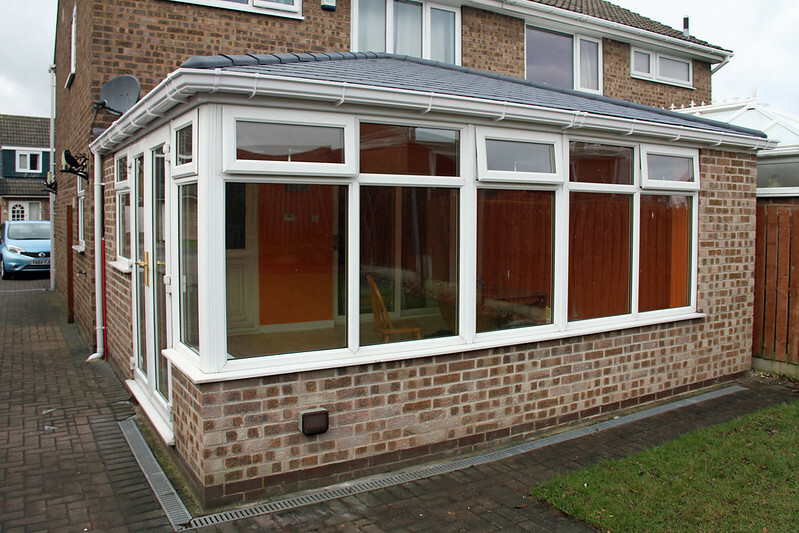 Smooth plaster-lines and an optional low-energy LED lighting pelmet only add further to the overall look. 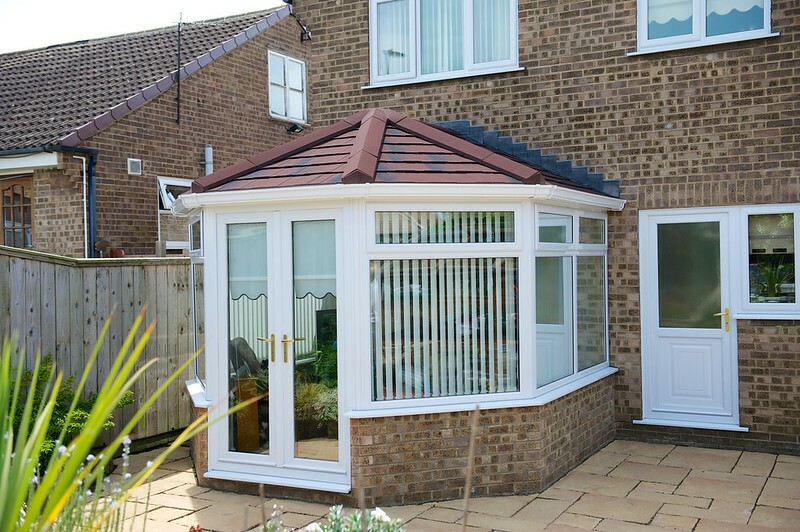 All of our products carry a 10-year insurance backed guarantee so that you have complete peace-of-mind. 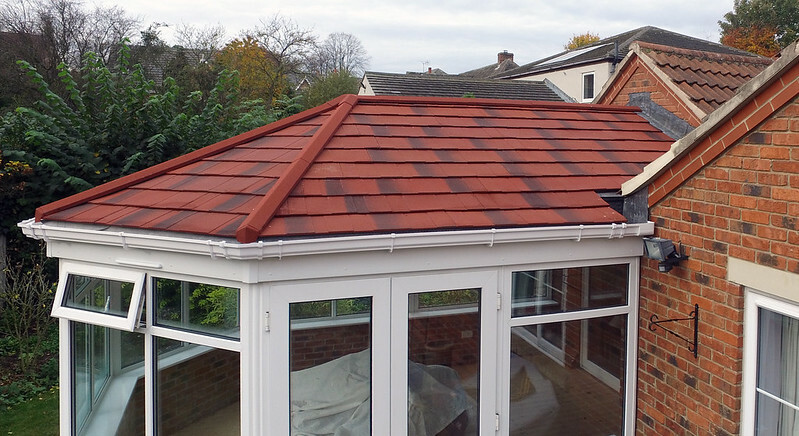 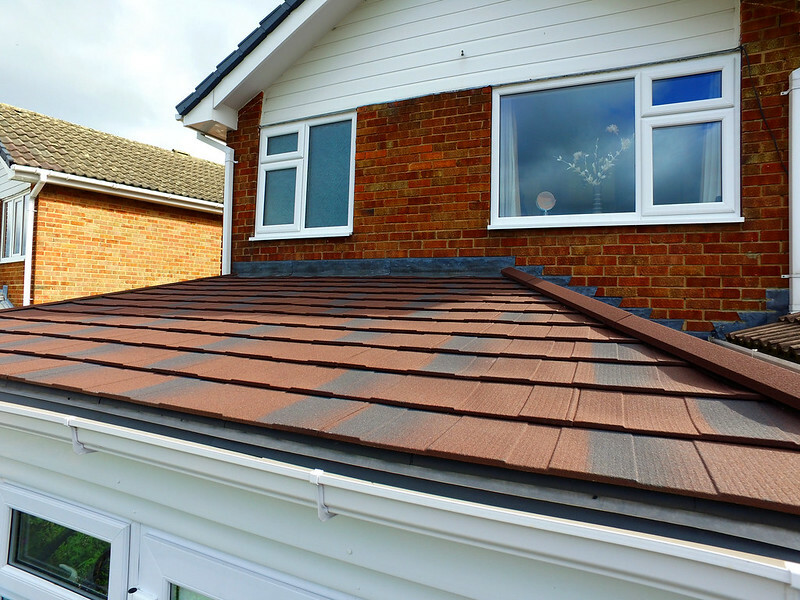 In addition, the lightweight roof tiles are guaranteed by the manufacturers for 40 years! 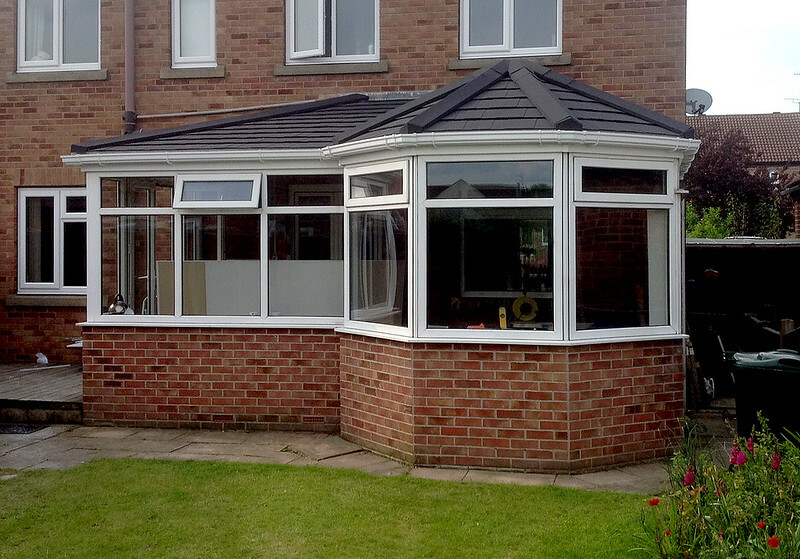 NU-ROOM ROOFS ARE DESIGNED AND MADE HERE IN YORKSHIRE! 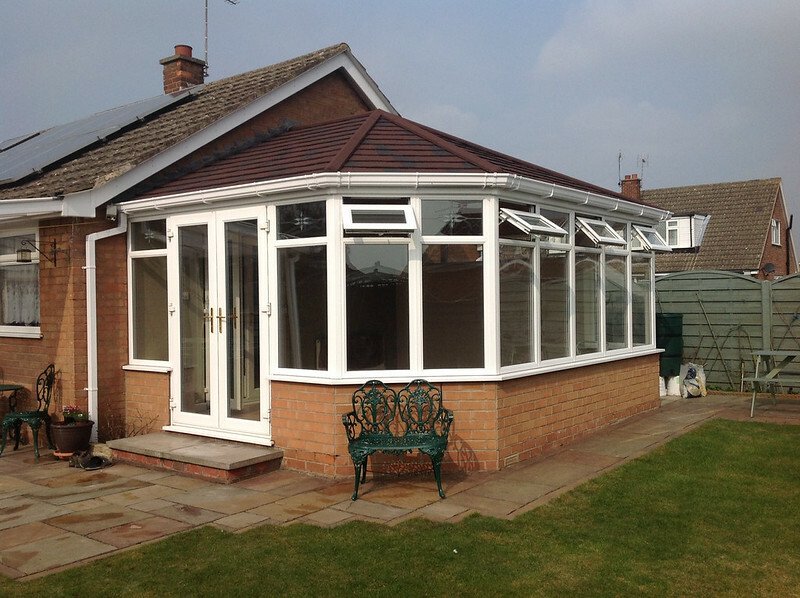 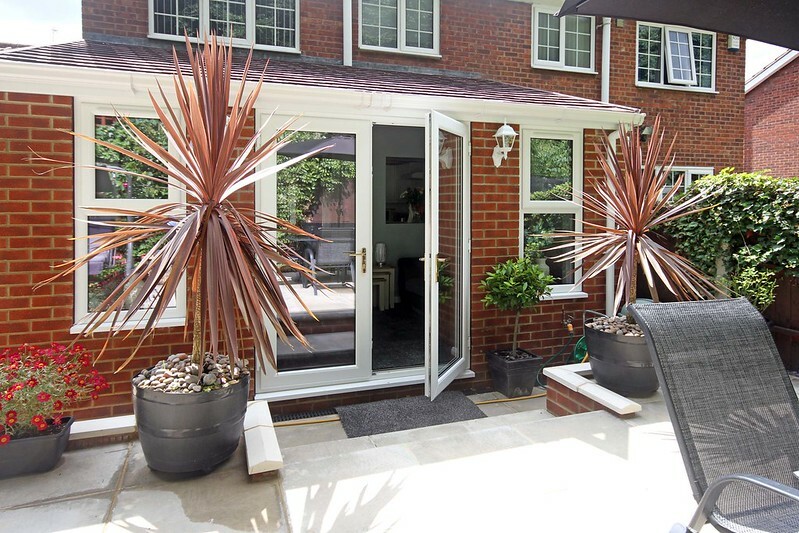 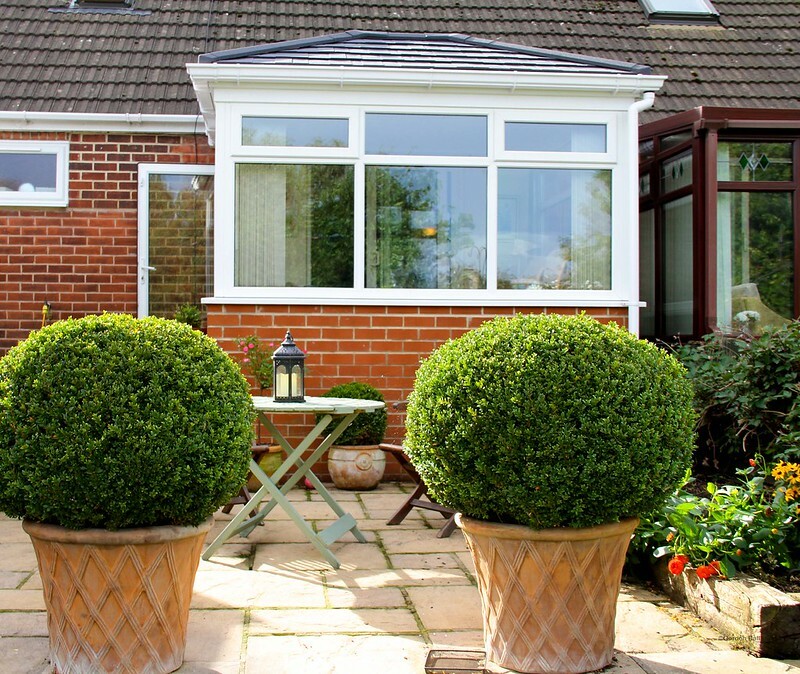 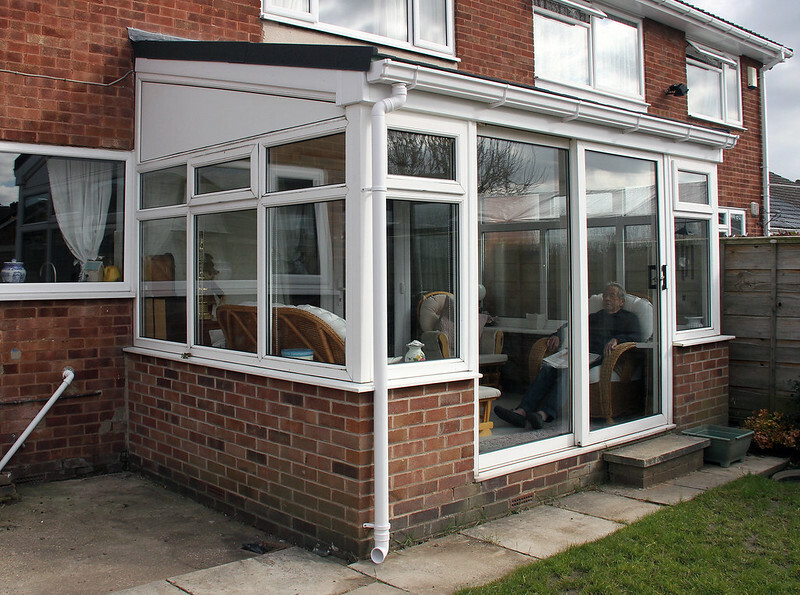 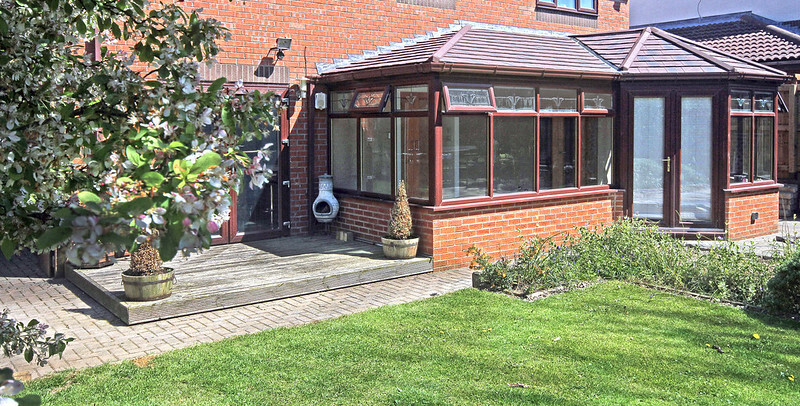 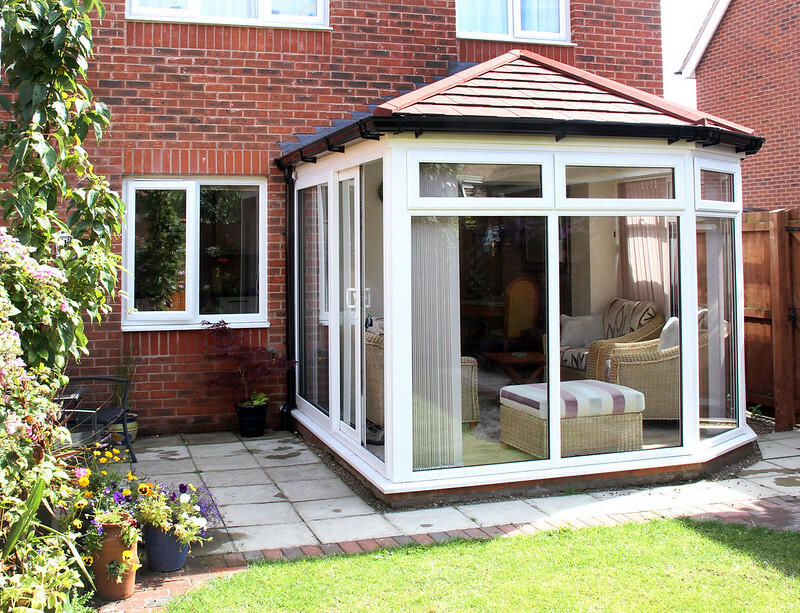 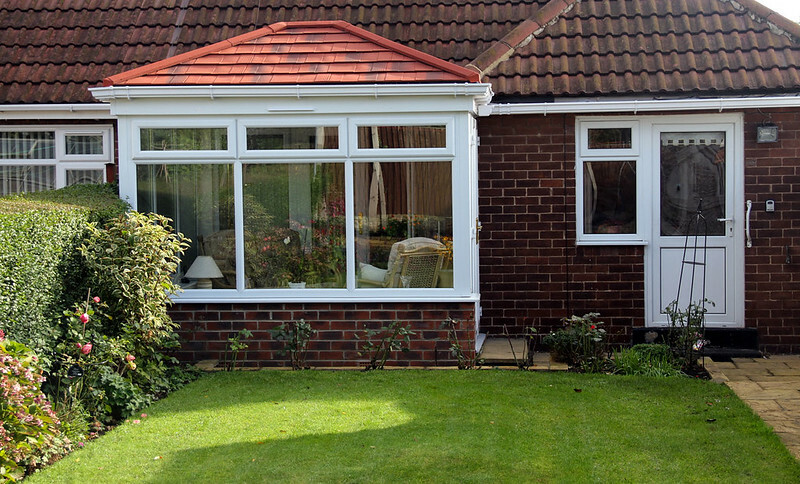 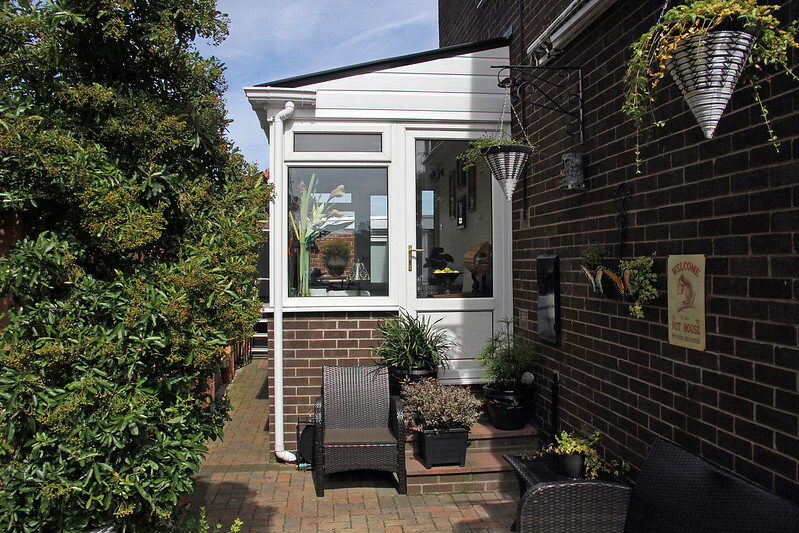 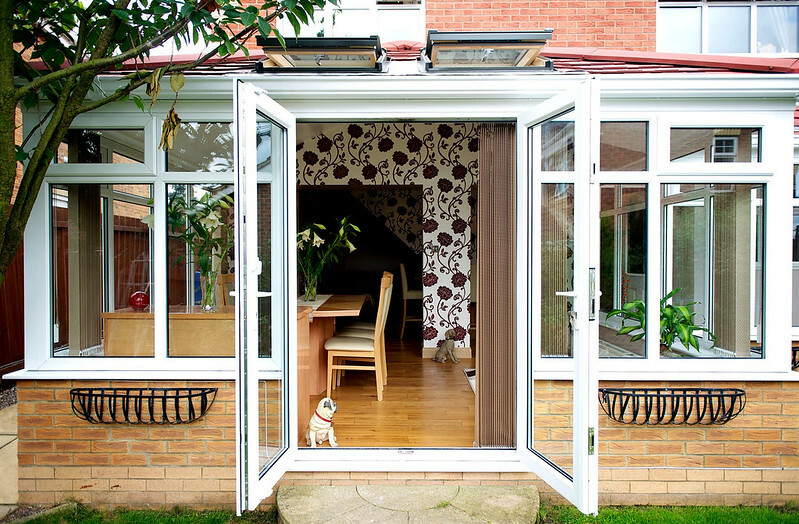 Why not also give your conservatory a new look? 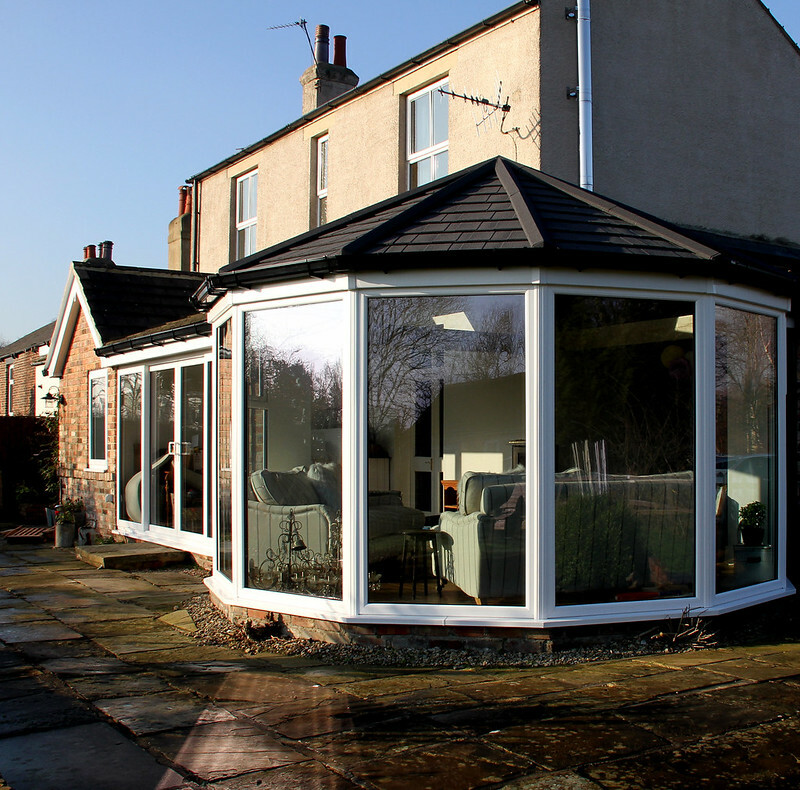 Change the colour or style of your frames and fit new energy-efficient glass too. 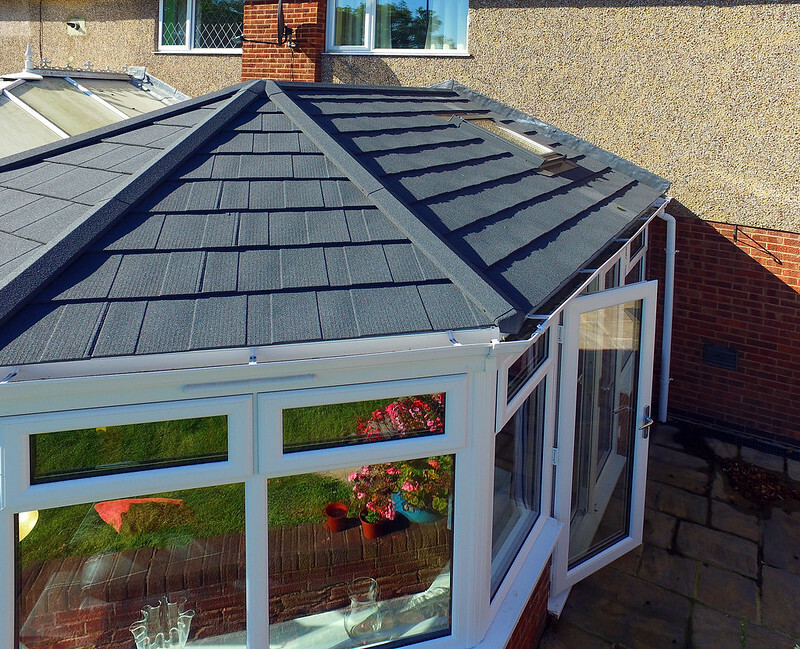 Up-to 60% off when you buy with a replacement roof!